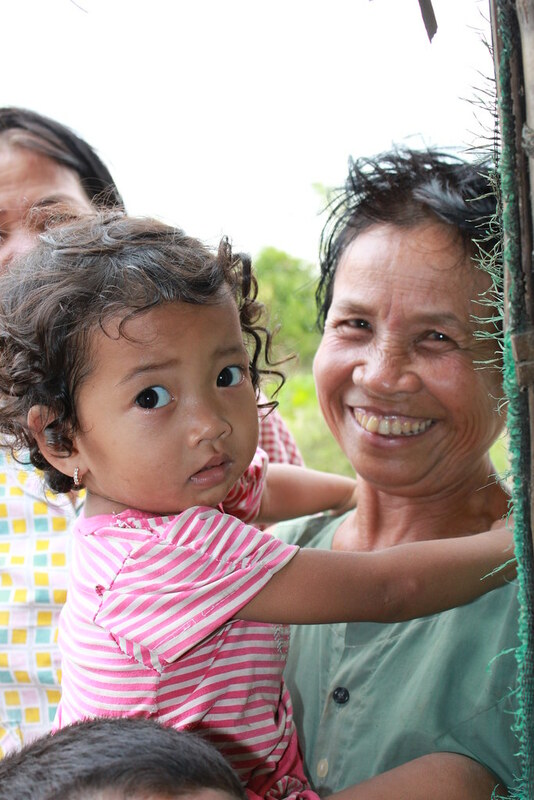 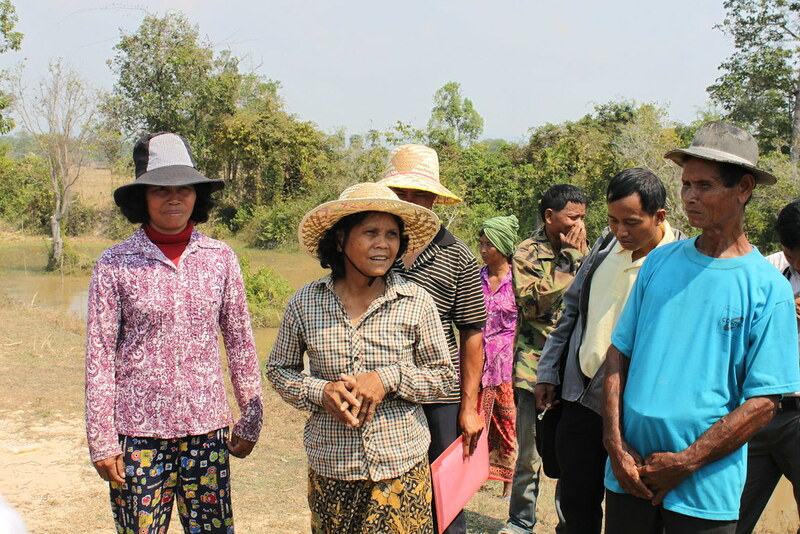 Strengthening of civil society’s and local authorities’ support capacity to work for the food security of 2,000 of the most vulnerable families from rural areas of the Siem Reap, Battambang, Takeo, Prey Veng, and Kampong Thom provinces. 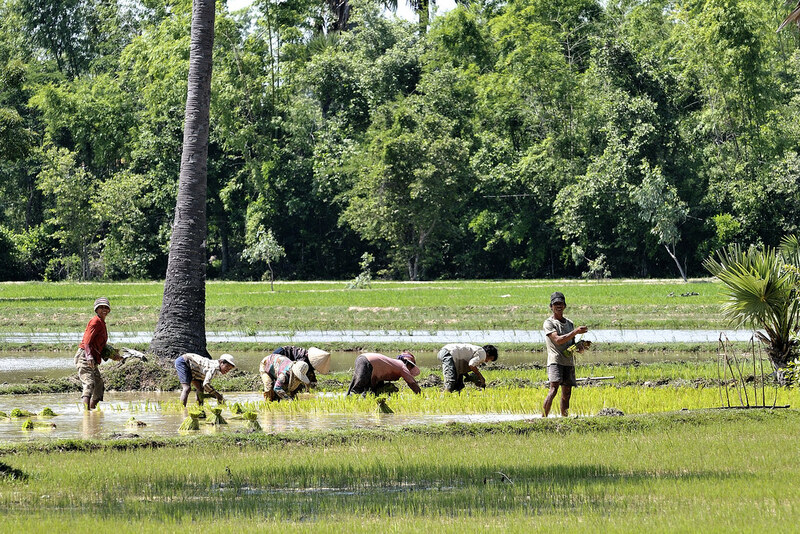 Rice is the staple food in Cambodia, and its price often skyrockets during the lean season (the period between two harvests). 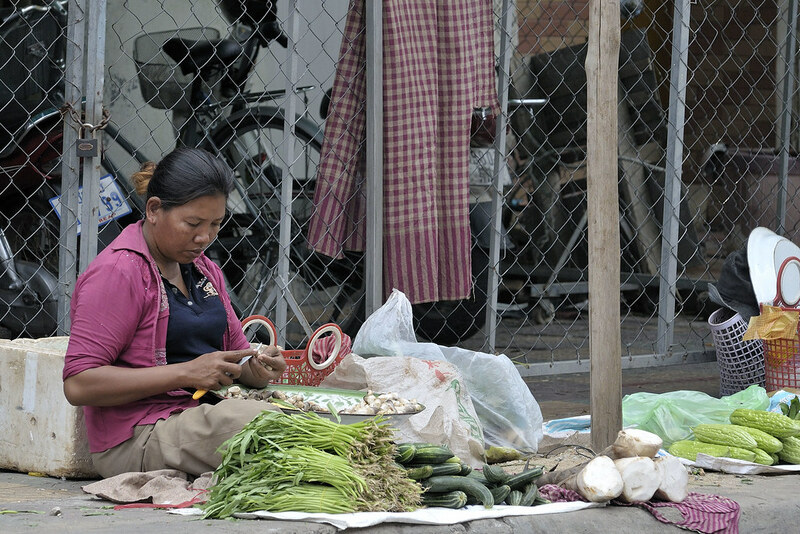 The traders are often the ones who benefit from these price fluctuations. 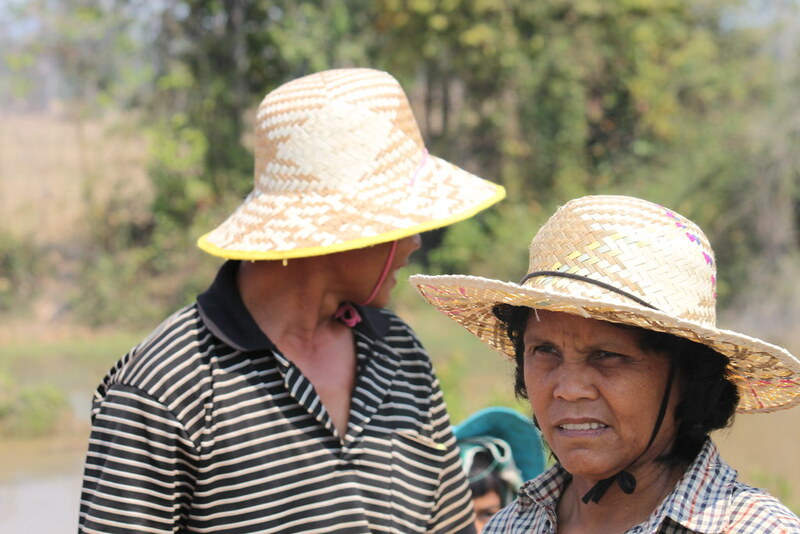 They buy the rice from smallholders at the time of the harvest (when the price is low) and then resell the rice at a higher price during the lean season, offering loans with interest rates of 100% to families who can’t afford it. 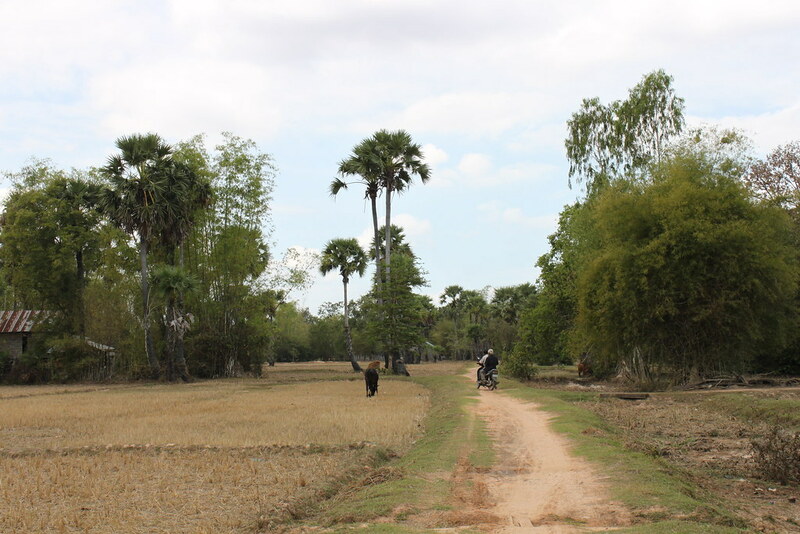 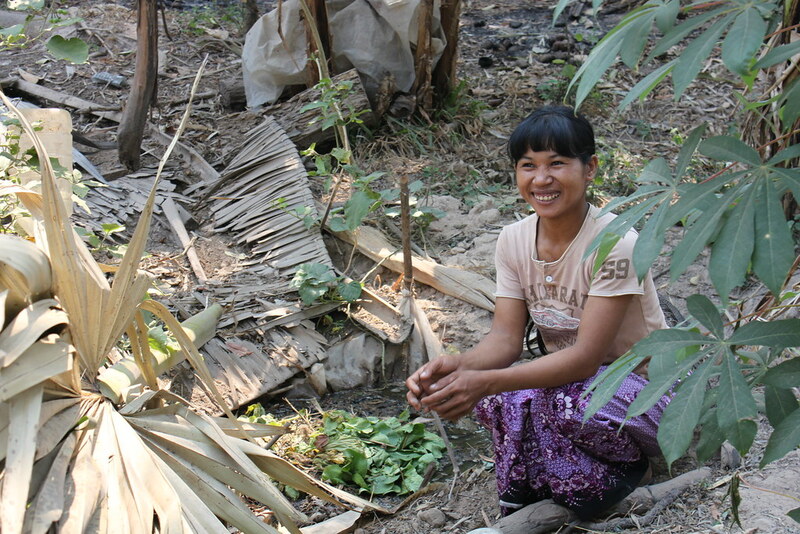 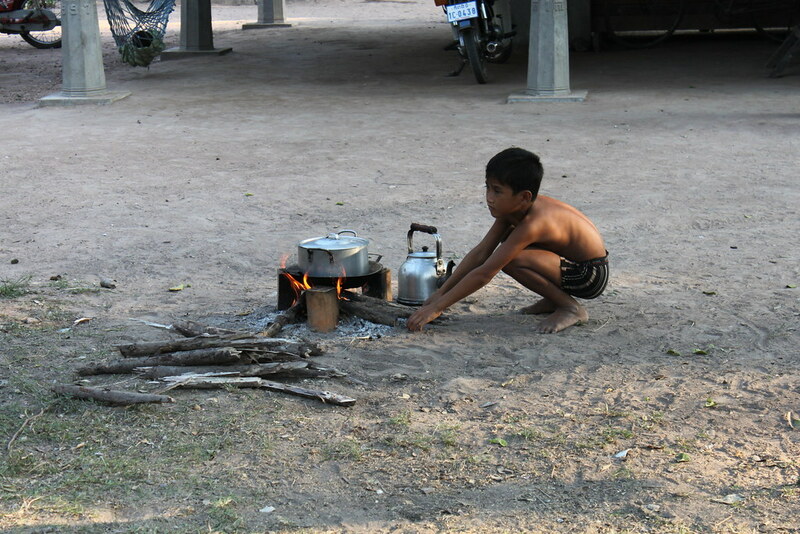 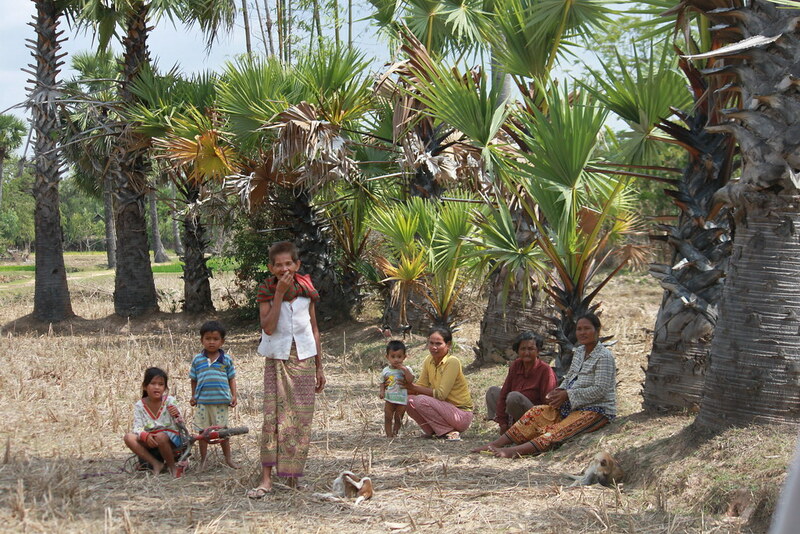 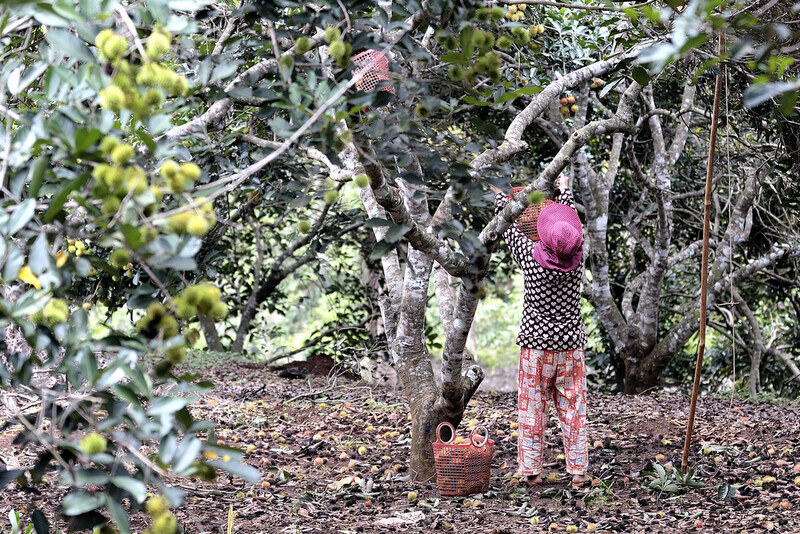 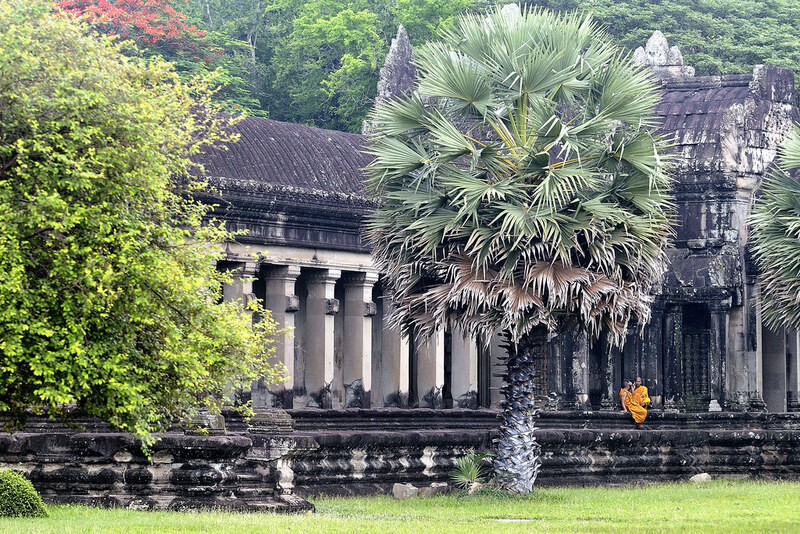 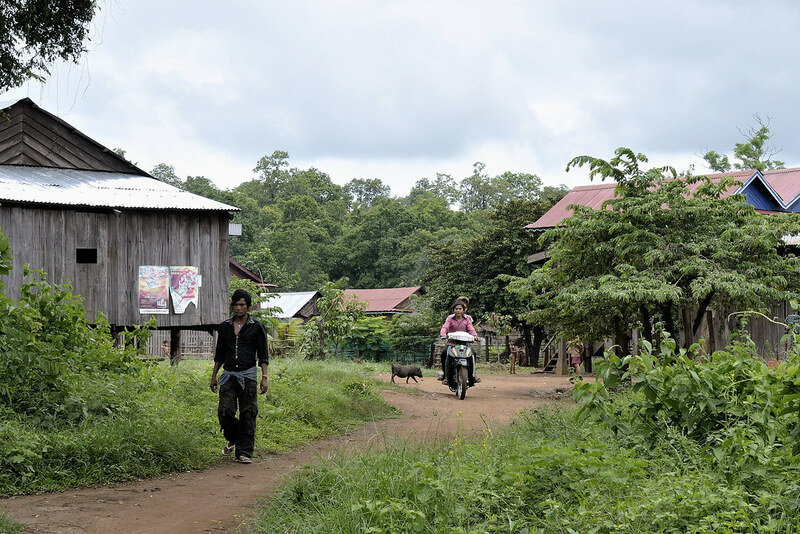 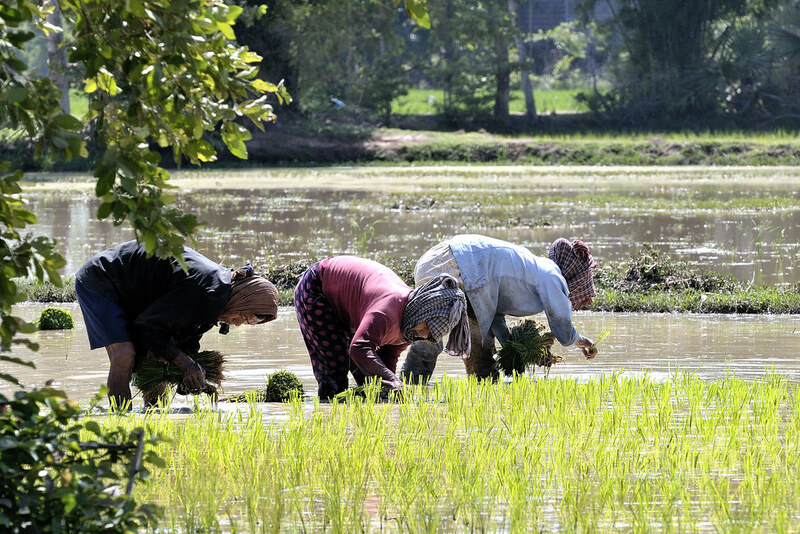 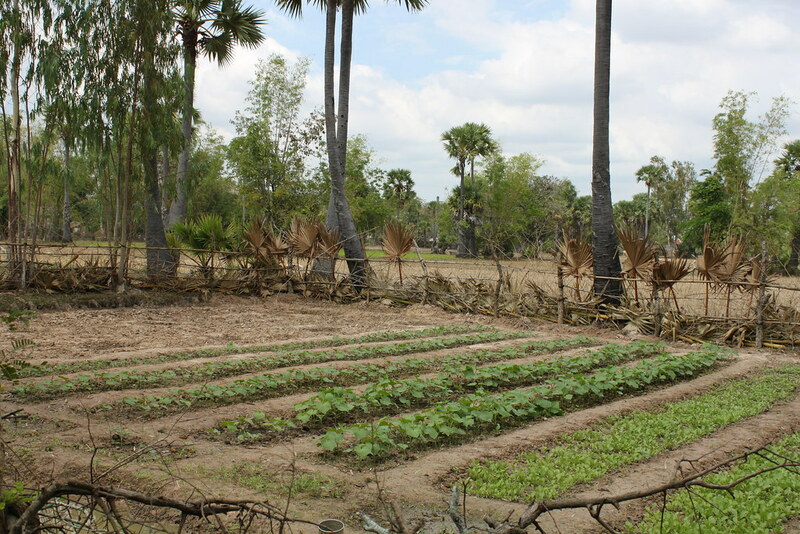 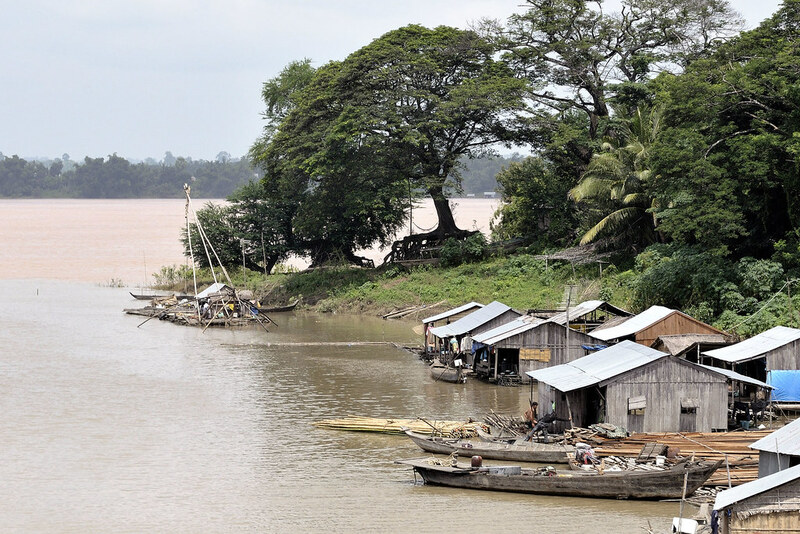 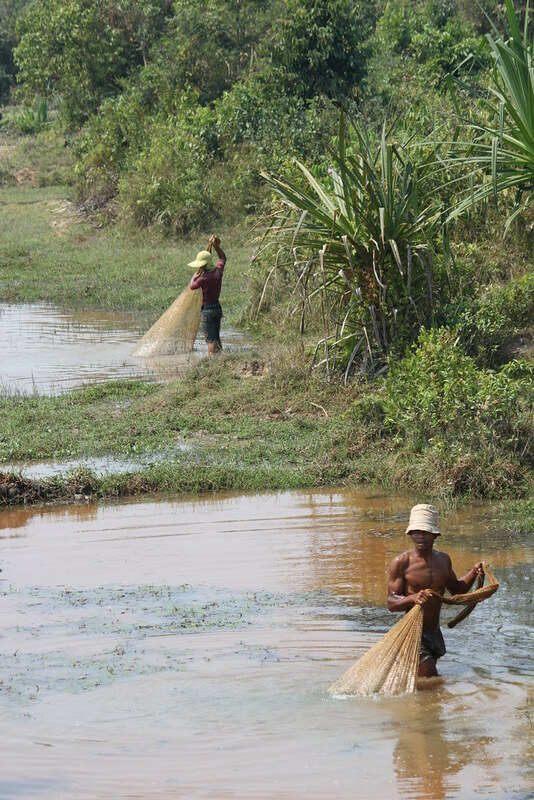 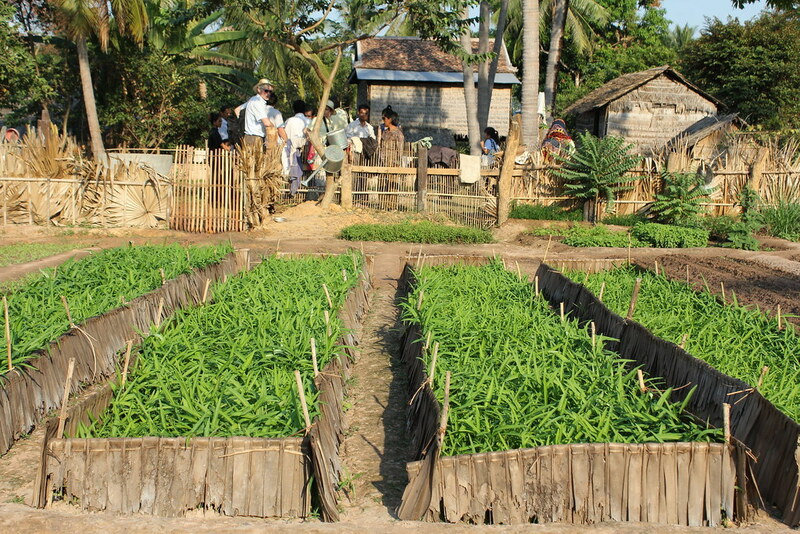 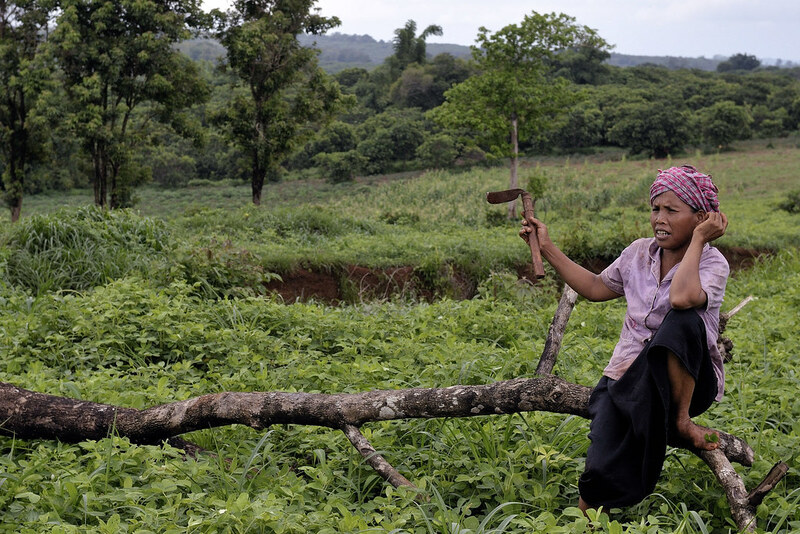 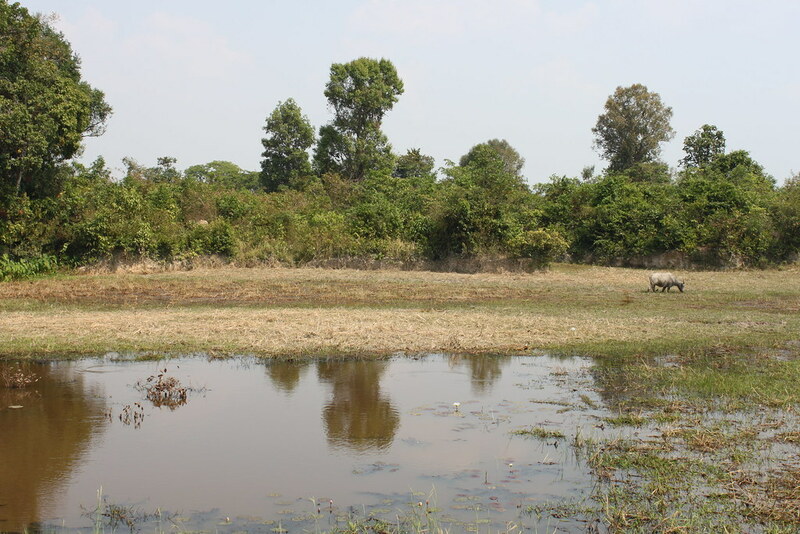 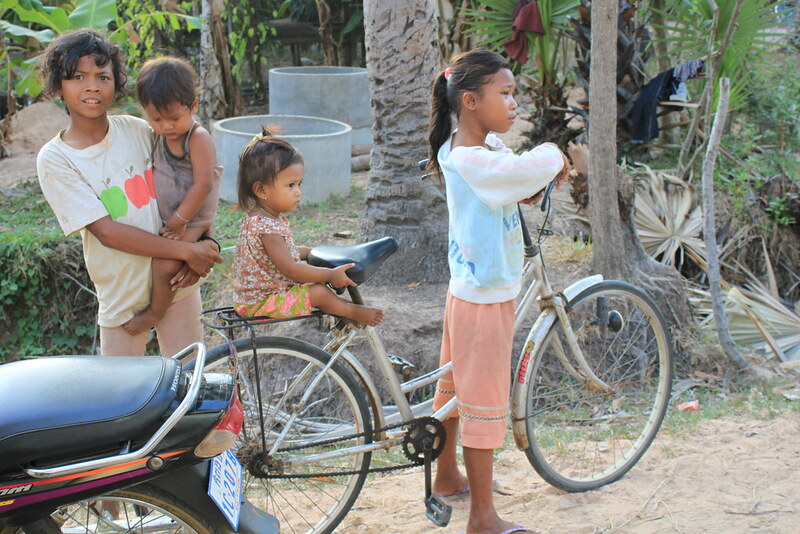 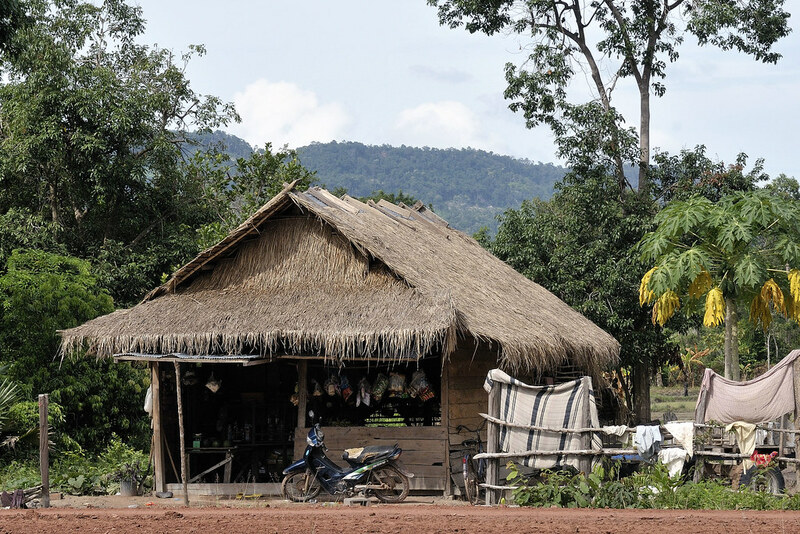 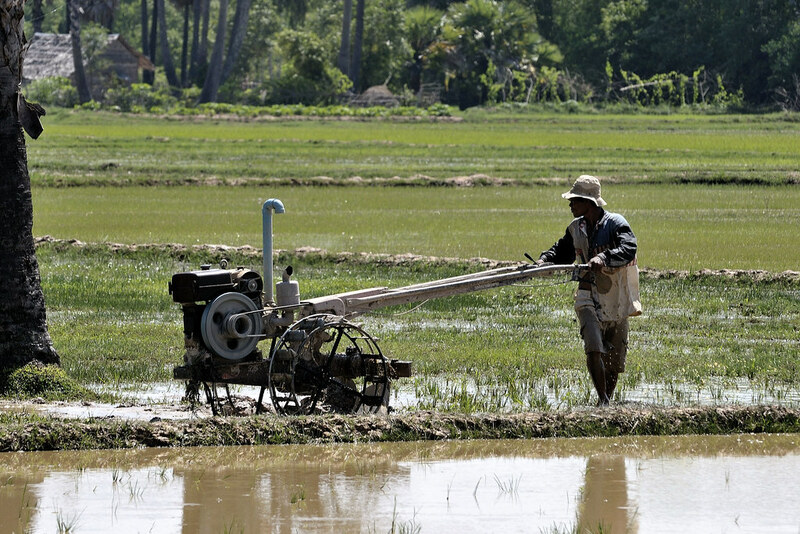 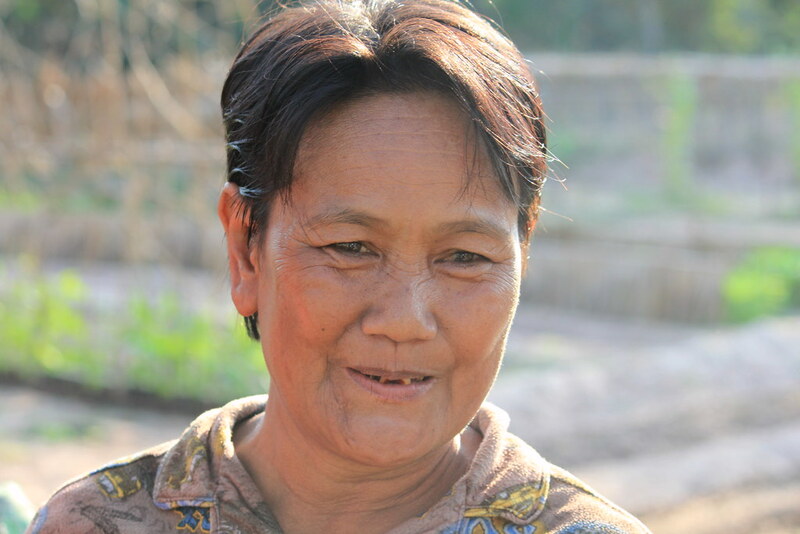 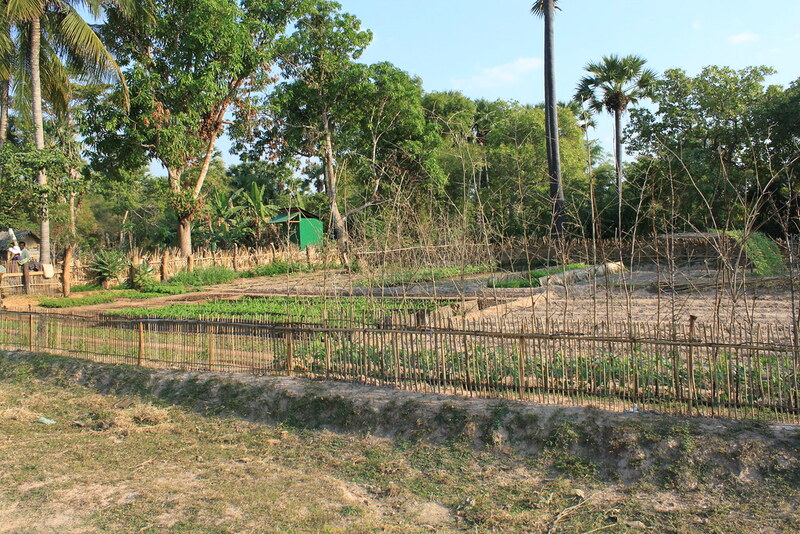 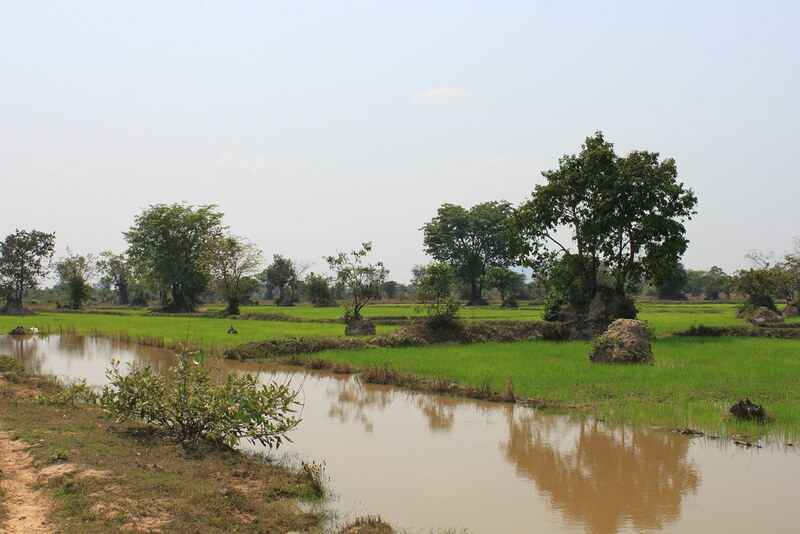 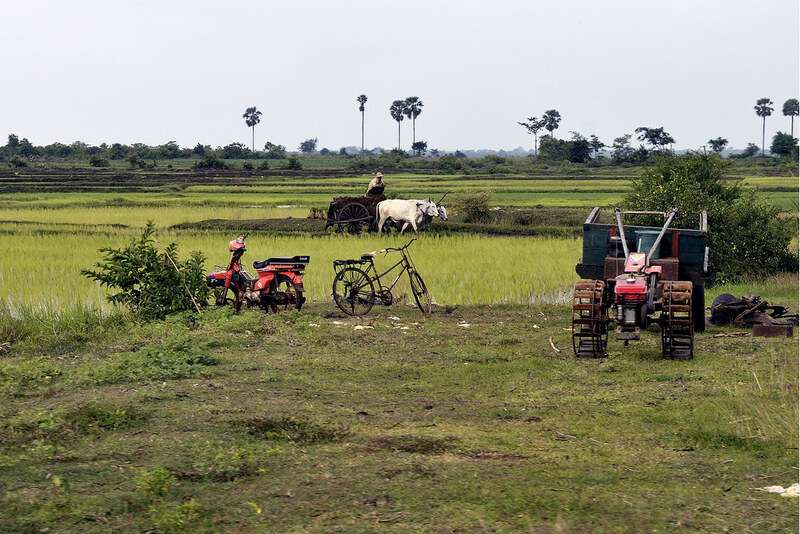 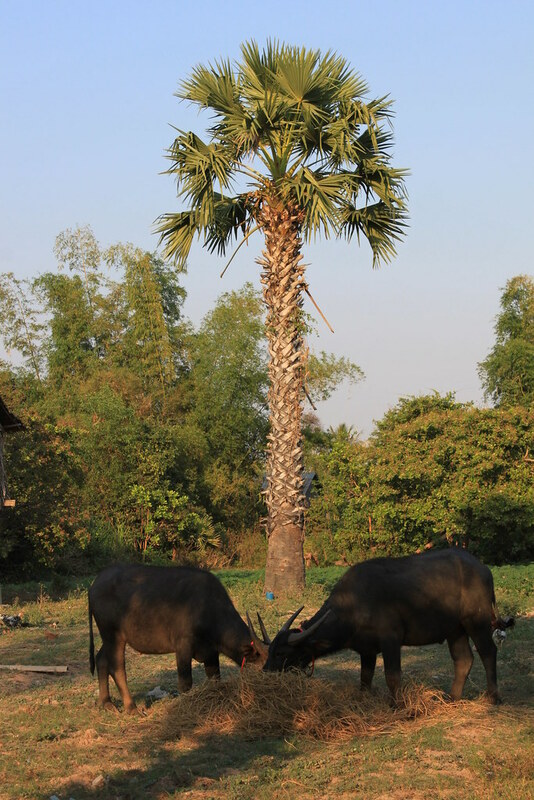 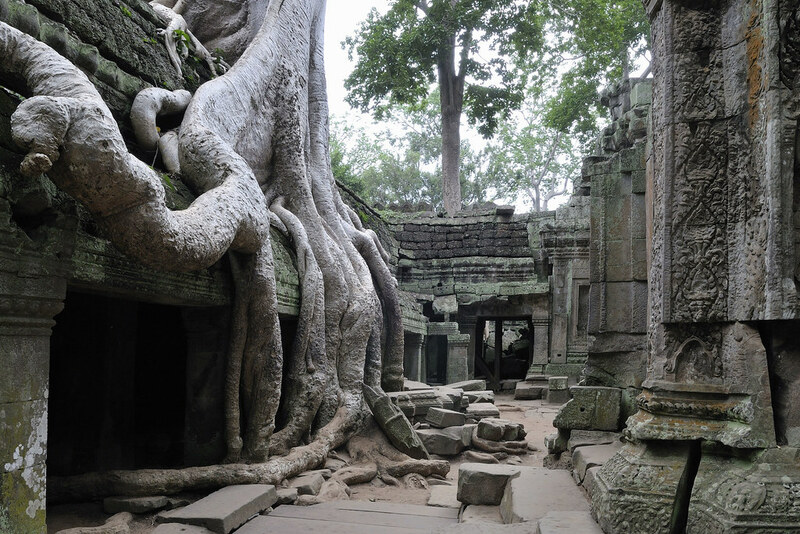 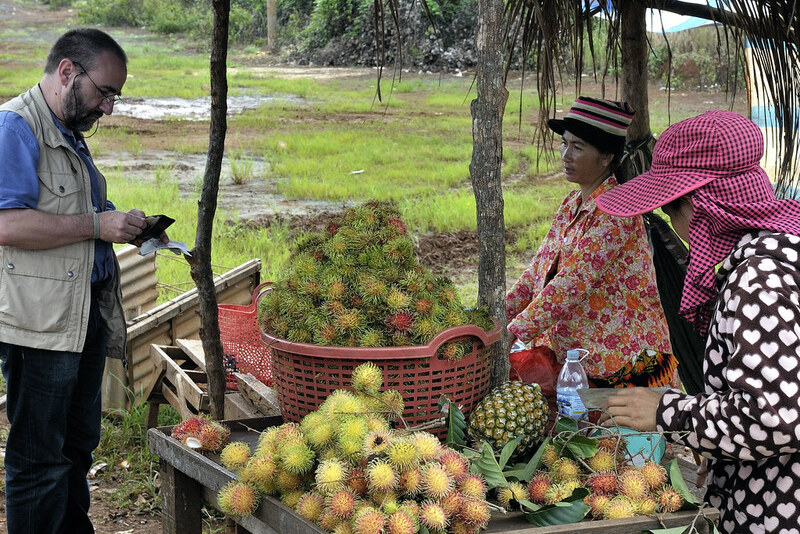 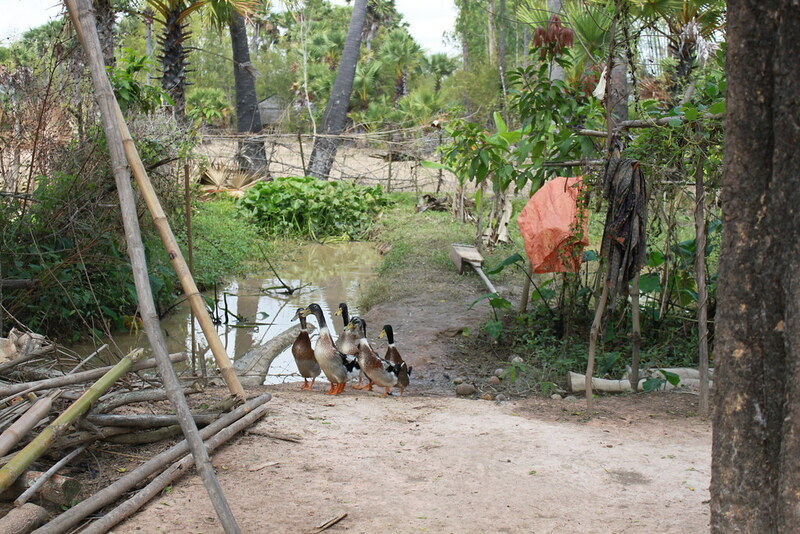 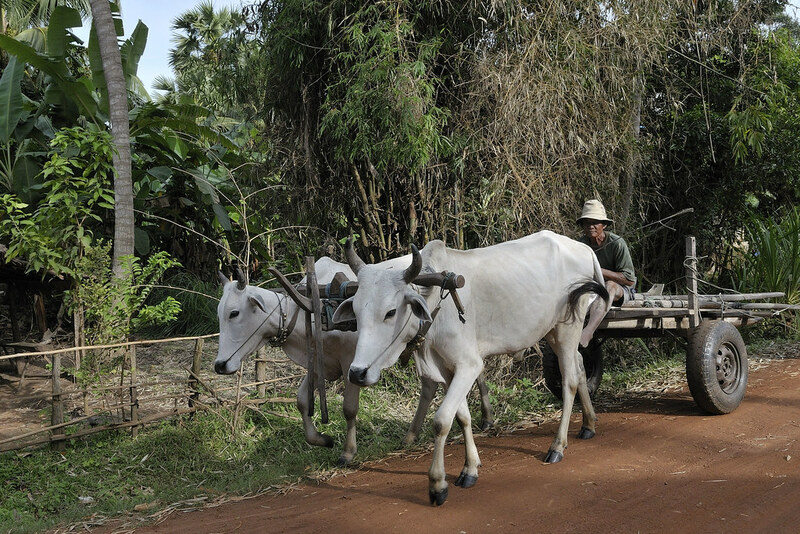 Cambodian smallholders typically harvest only once a year, whereas smallholders in neighboring countries such as Thailand and Vietnam have three or four harvests per year. 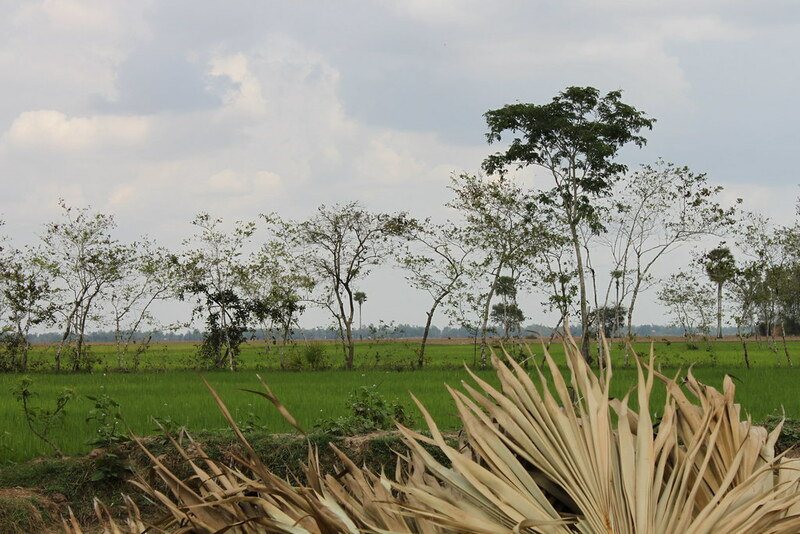 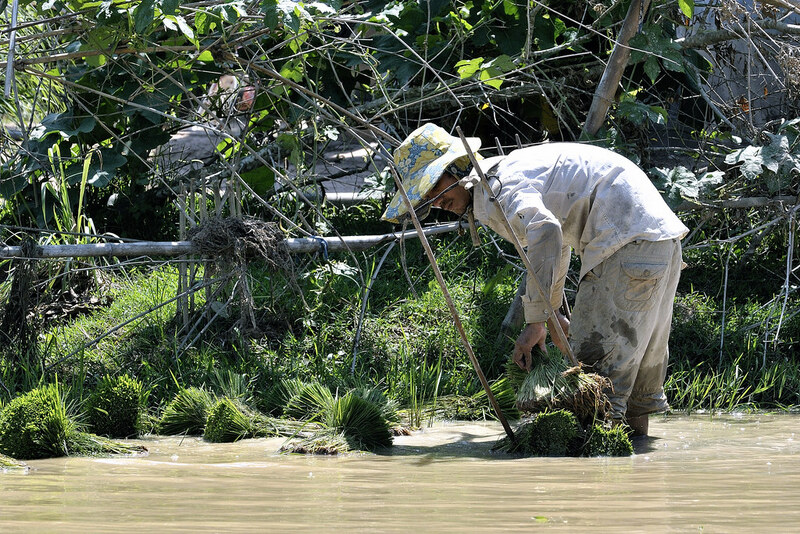 For the poorest smallholders, even harvesting rice once a year has become a challenge because instead of staying home during the lean season to work on their own rice production, they have to go to other villages to work as laborers in order to earn enough money to feed their families. 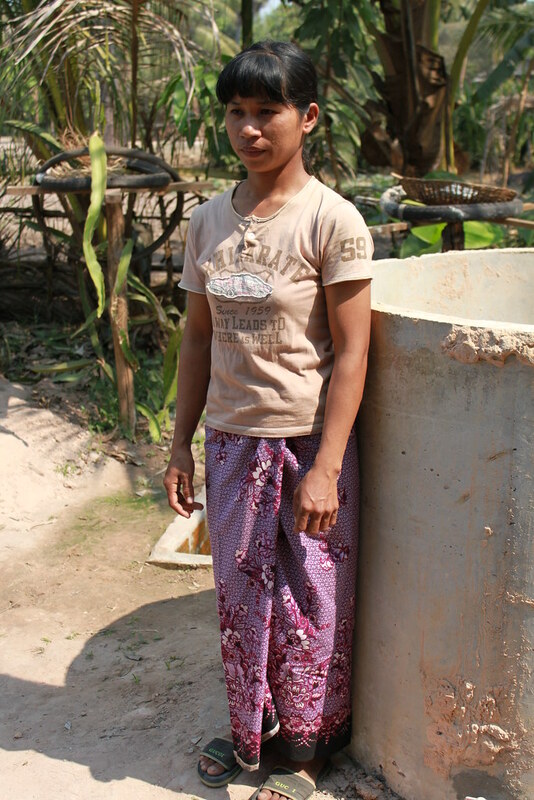 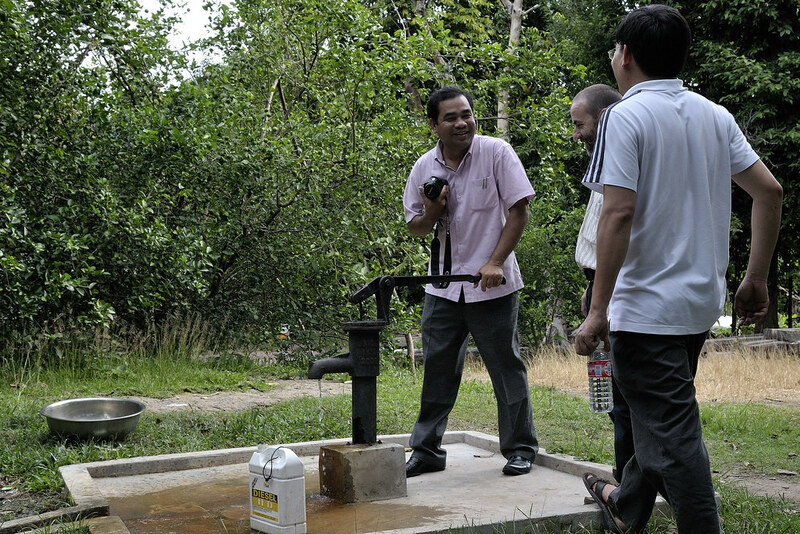 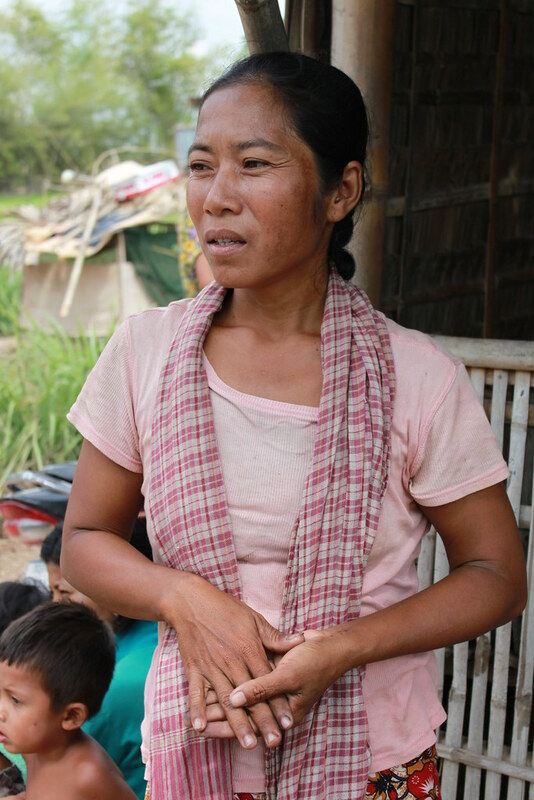 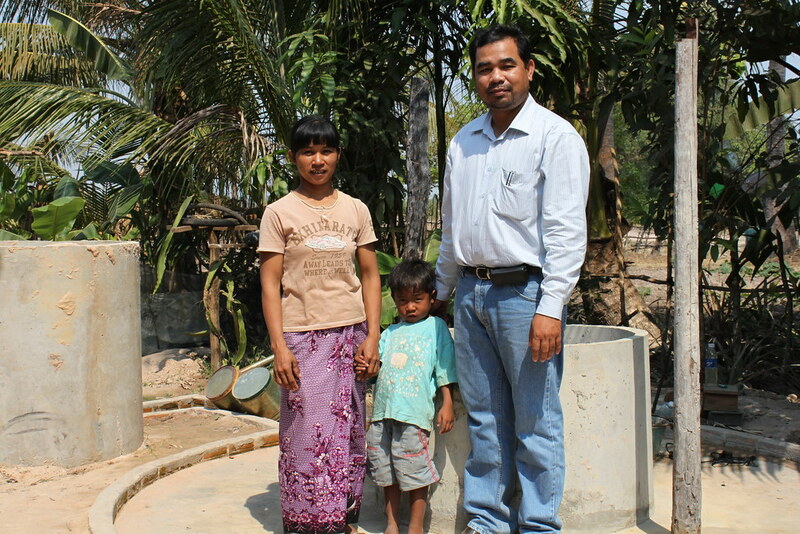 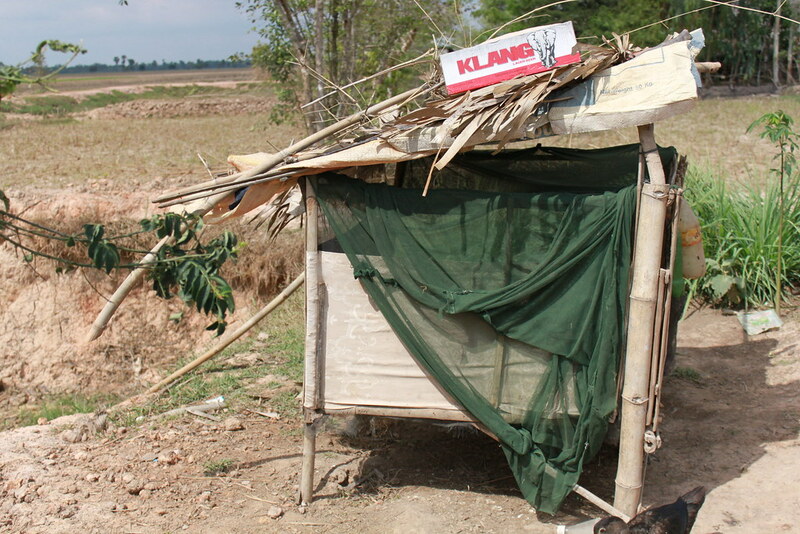 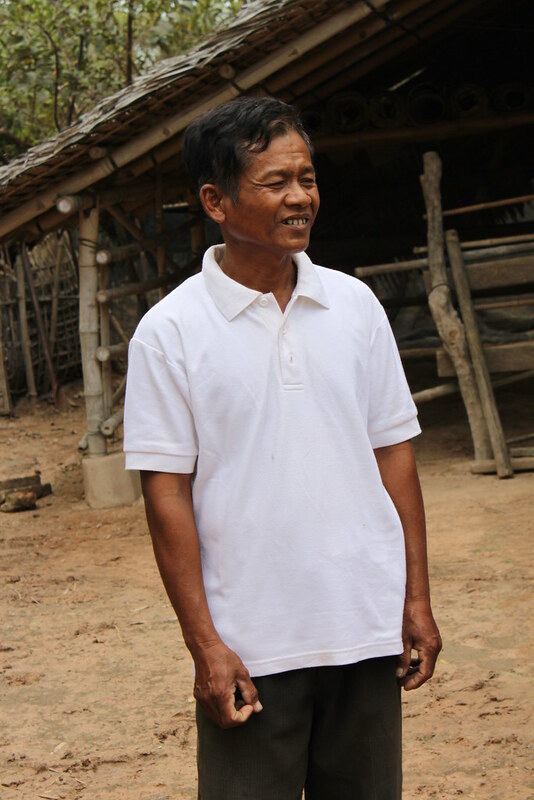 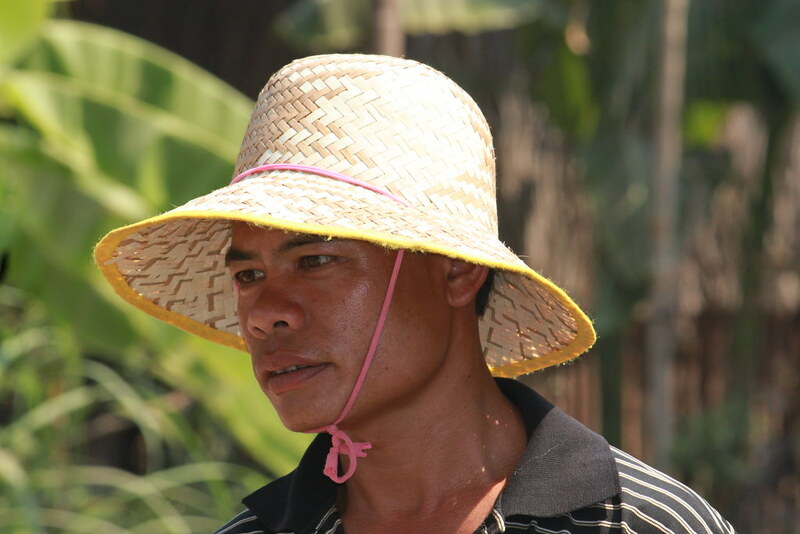 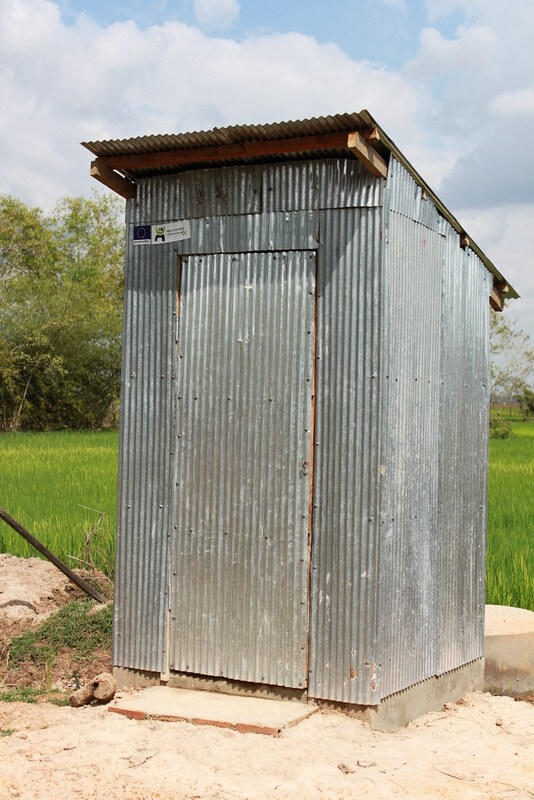 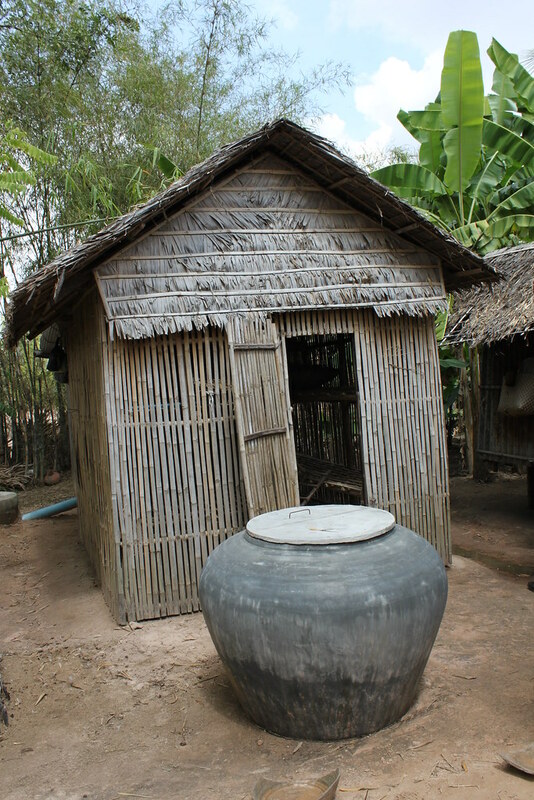 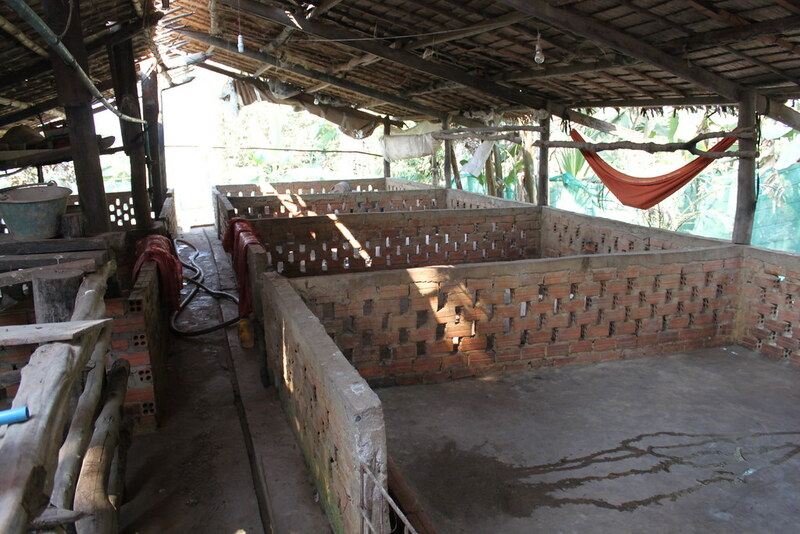 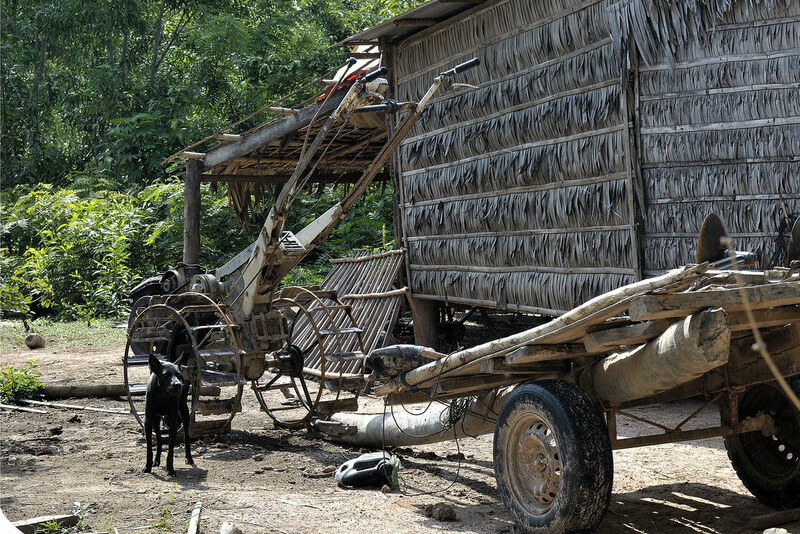 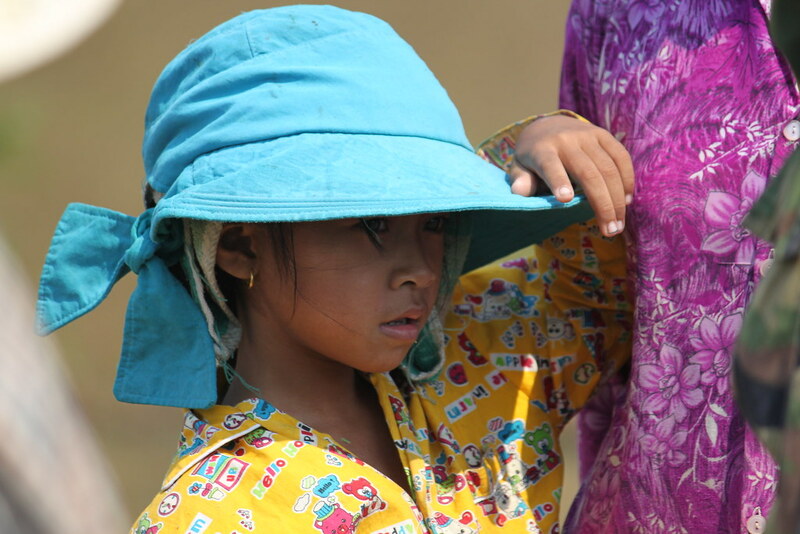 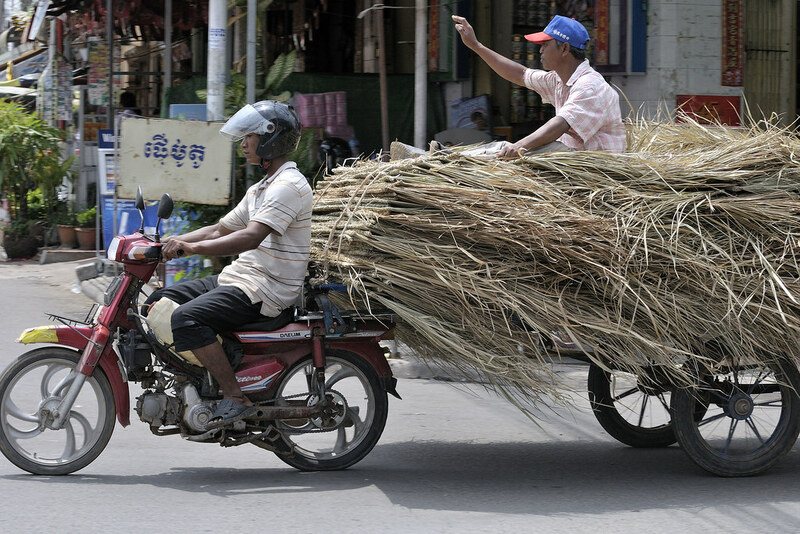 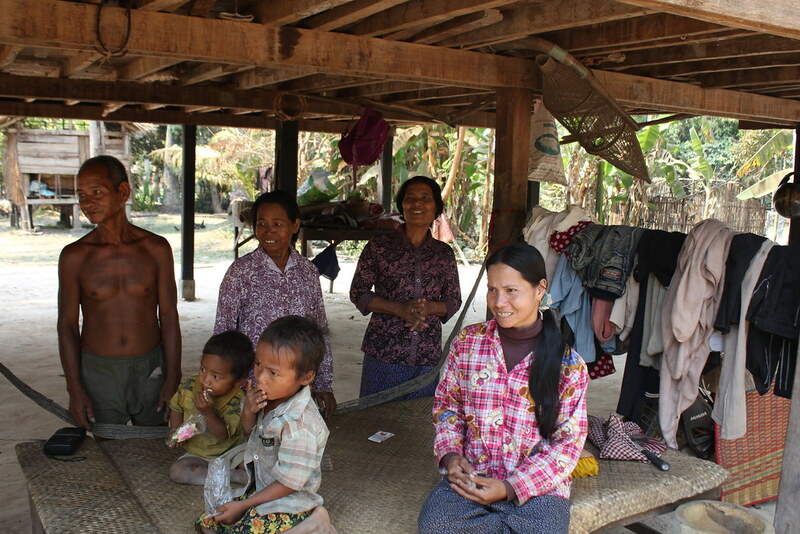 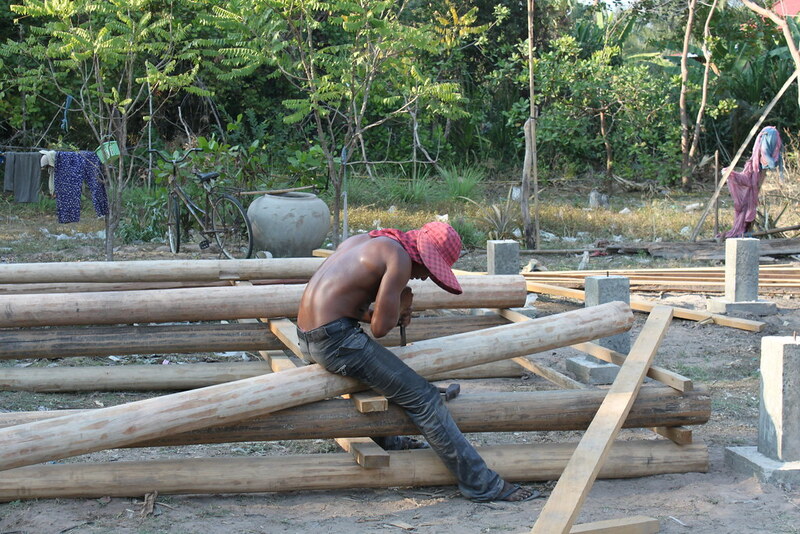 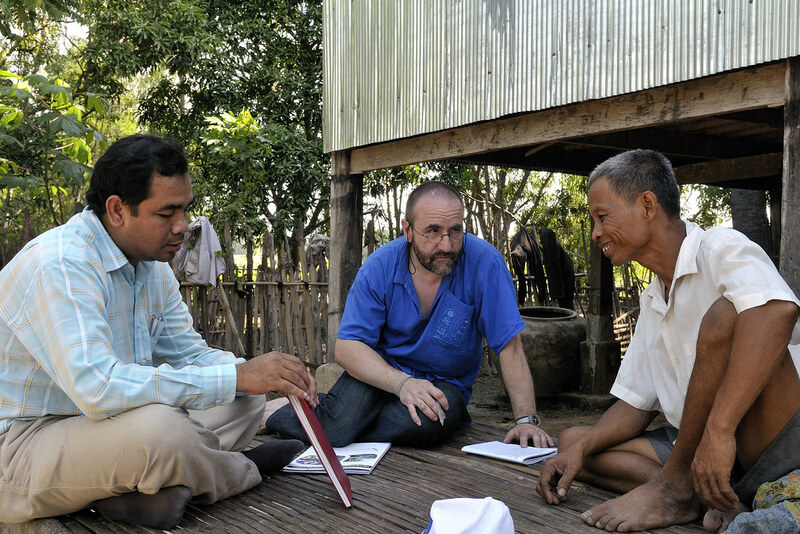 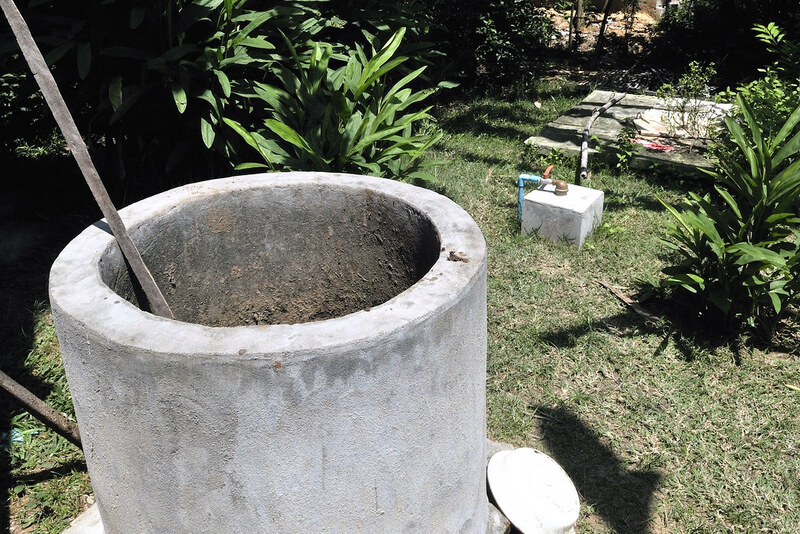 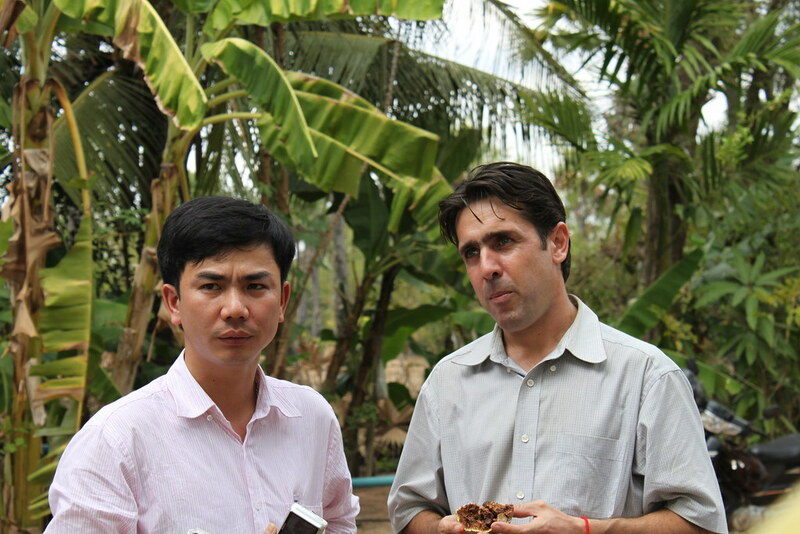 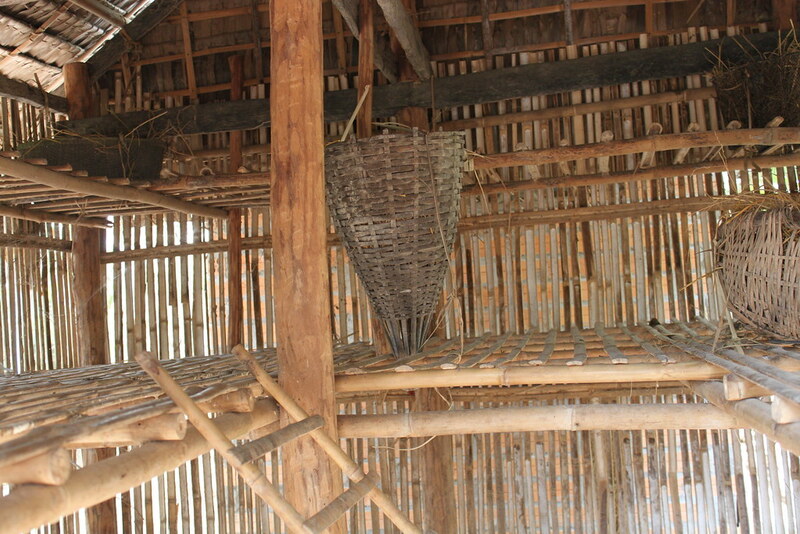 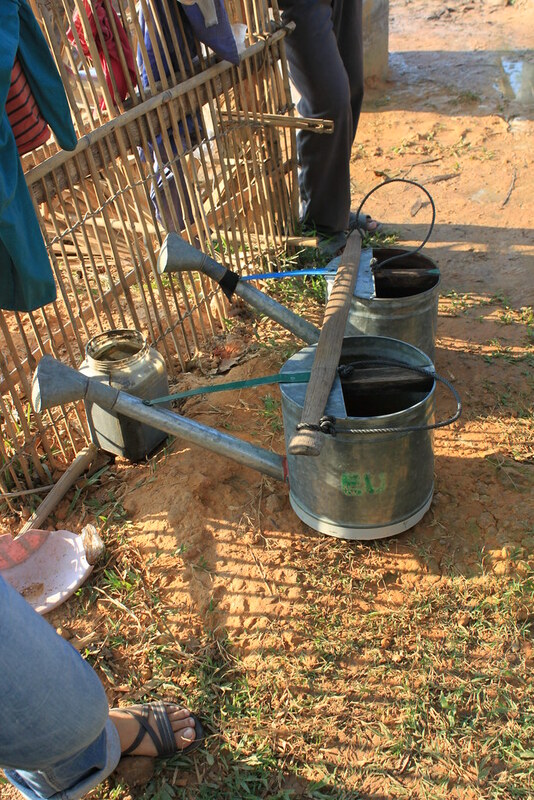 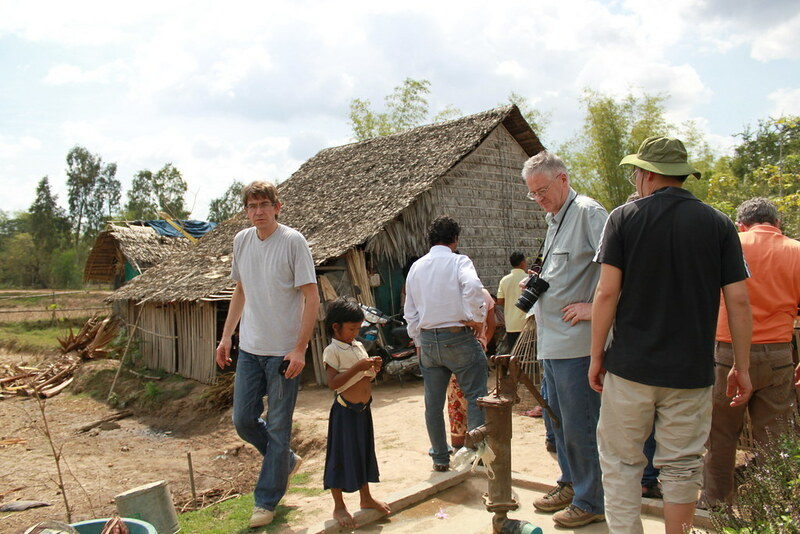 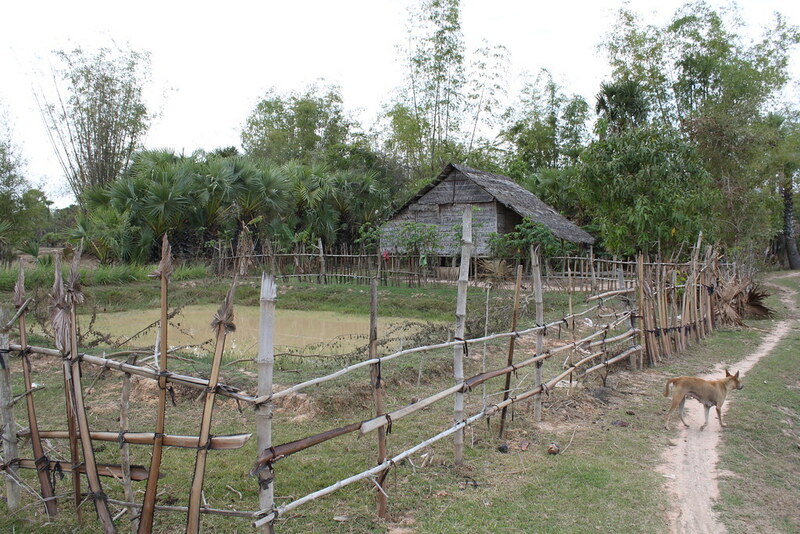 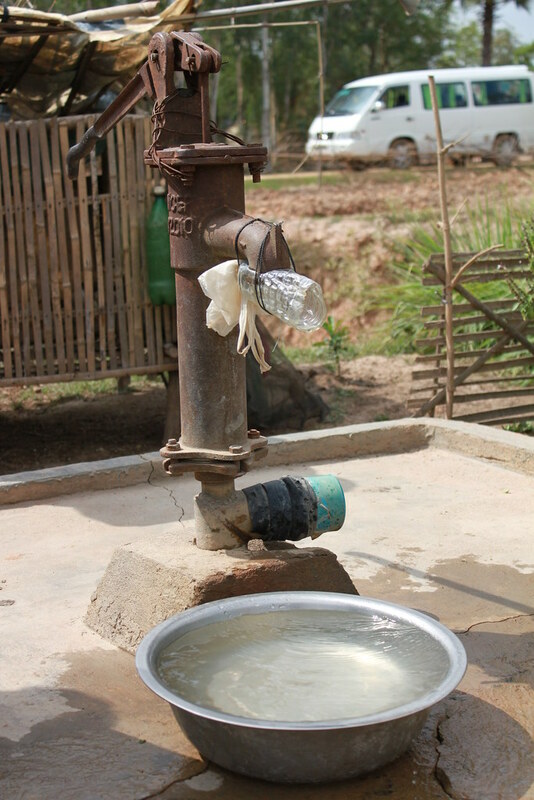 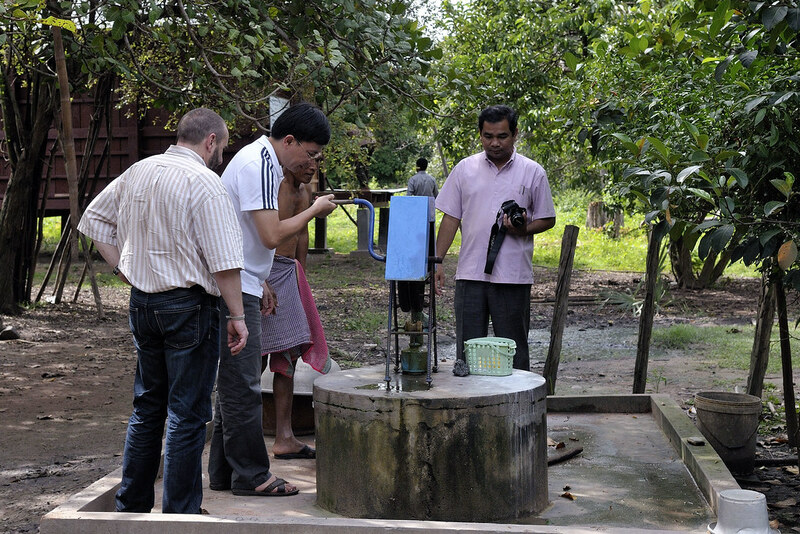 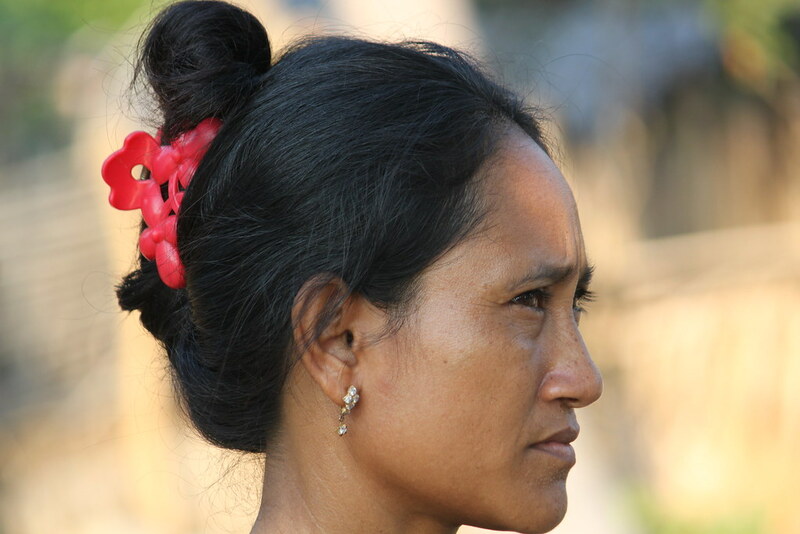 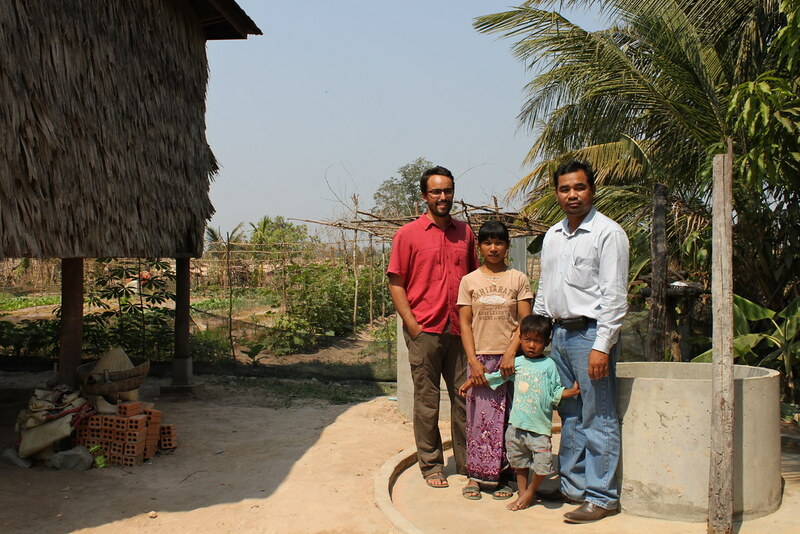 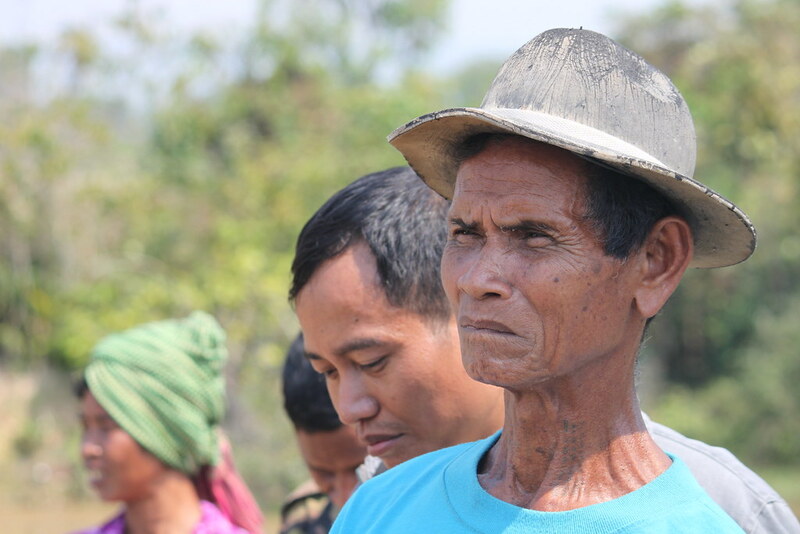 In order to break with this system, AVSF offered to organize rice-storage systems for the villagers. 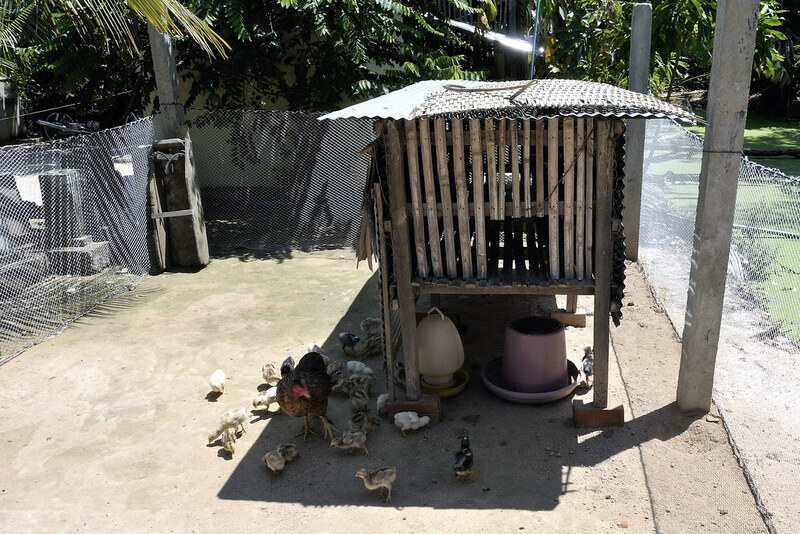 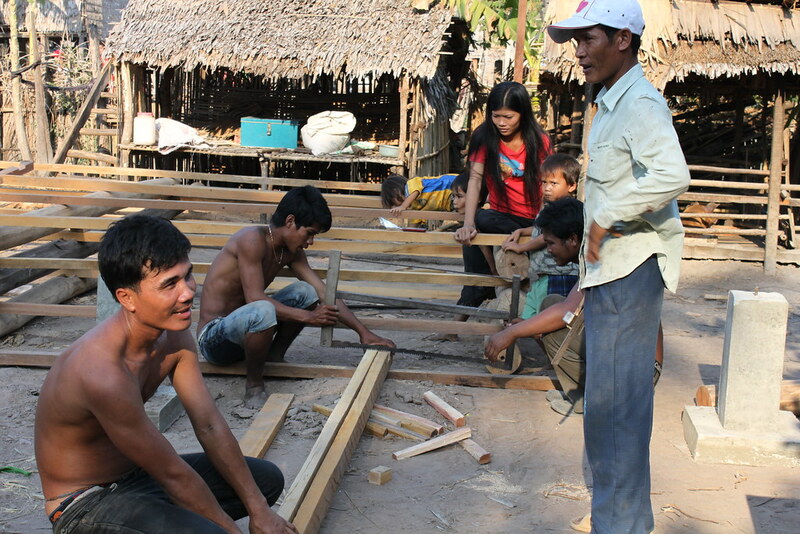 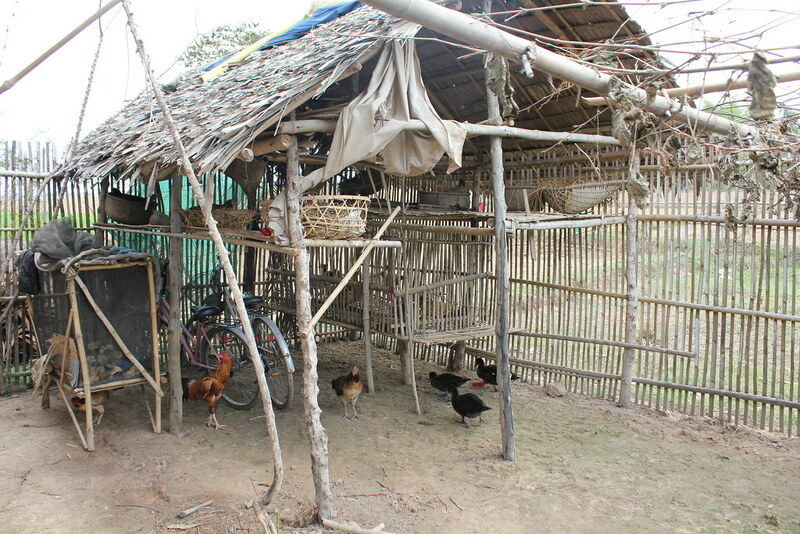 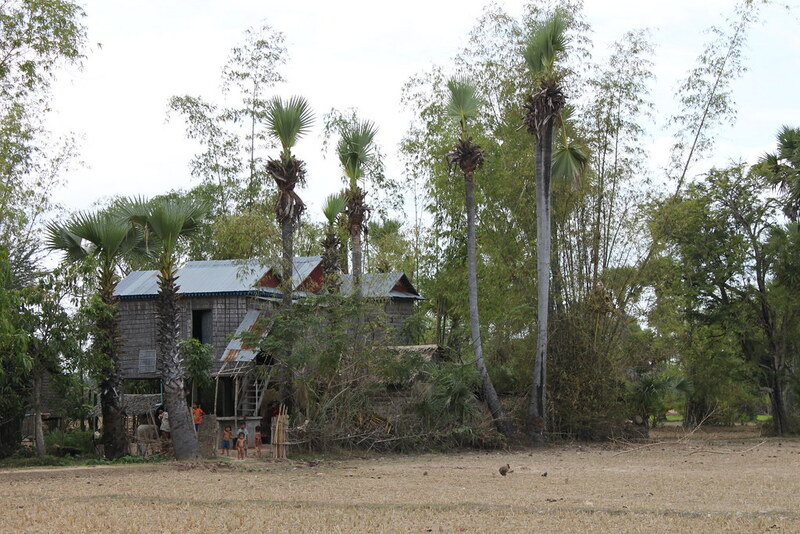 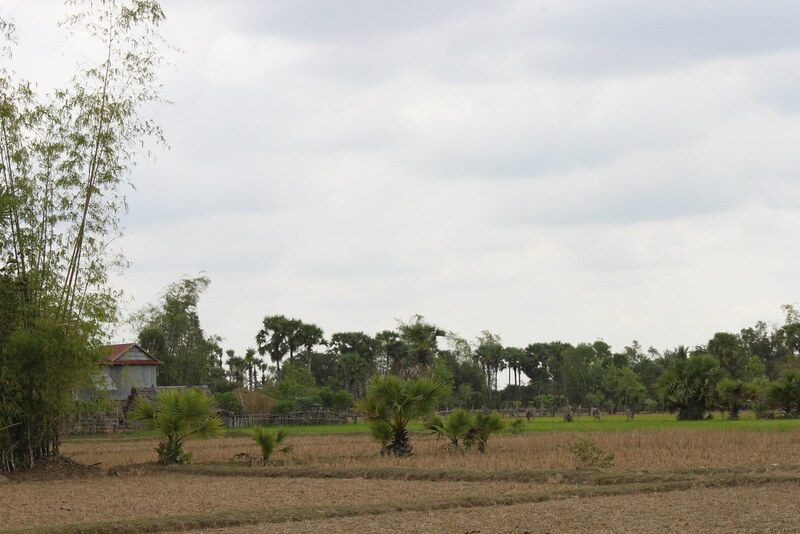 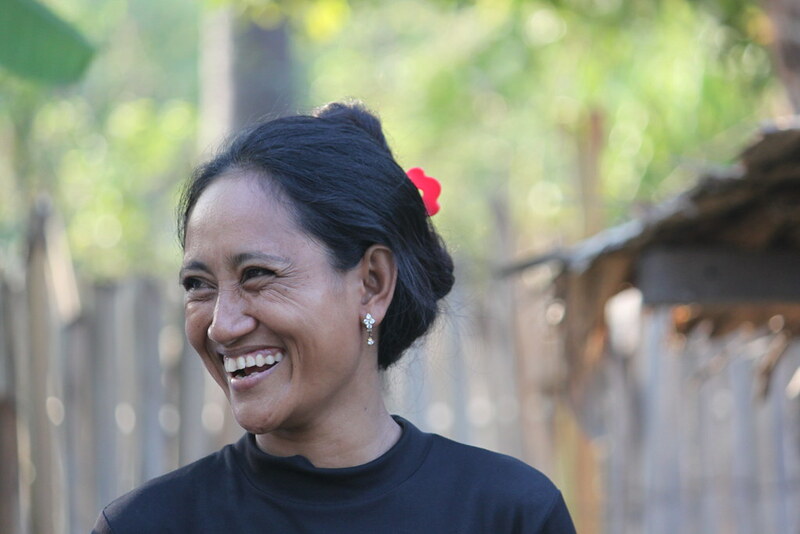 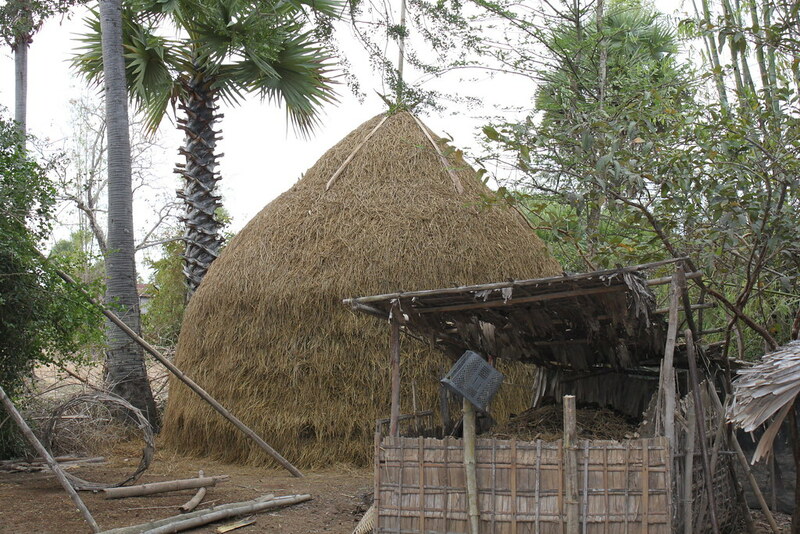 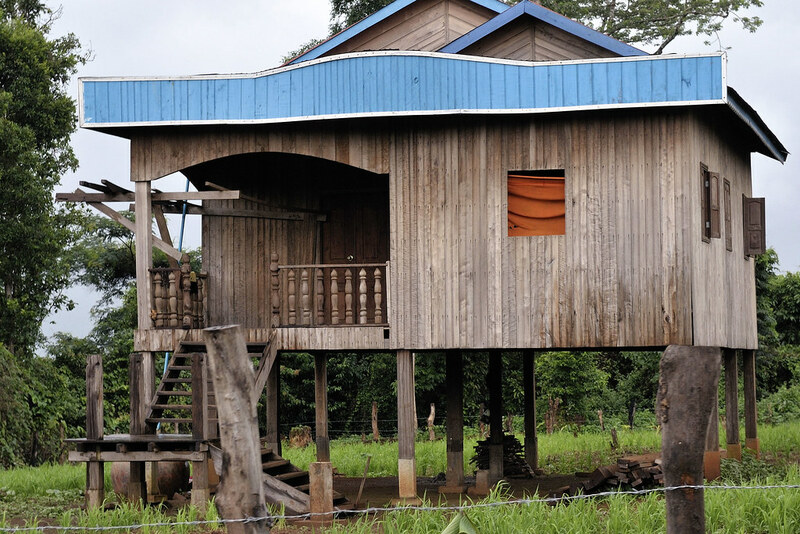 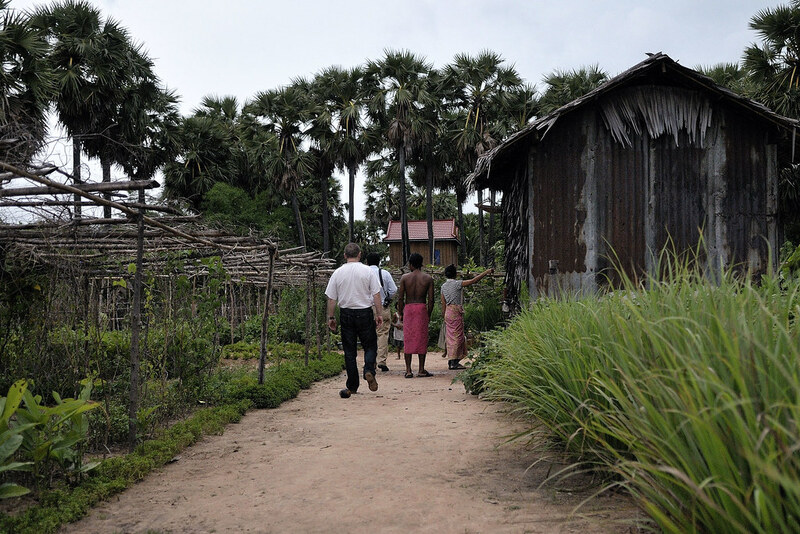 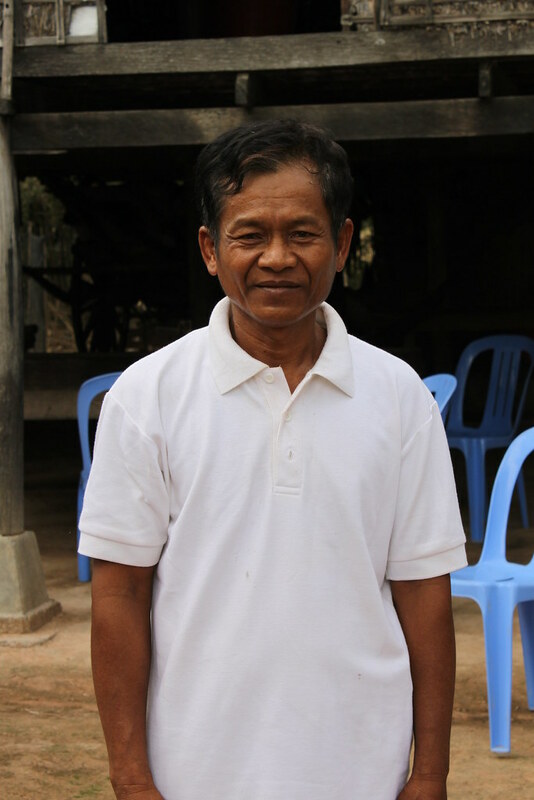 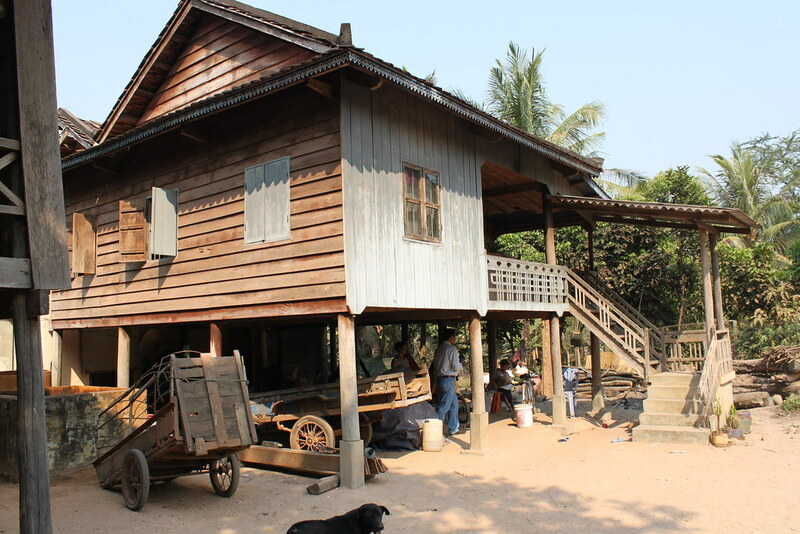 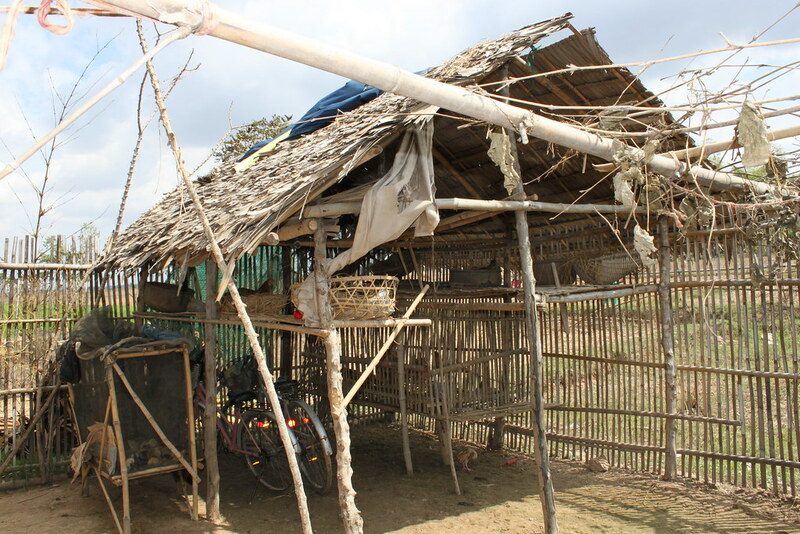 The idea is simple: a producer association is organized at the village level, and AVSF buys the first stock of rice and funds the construction of a communal granary. 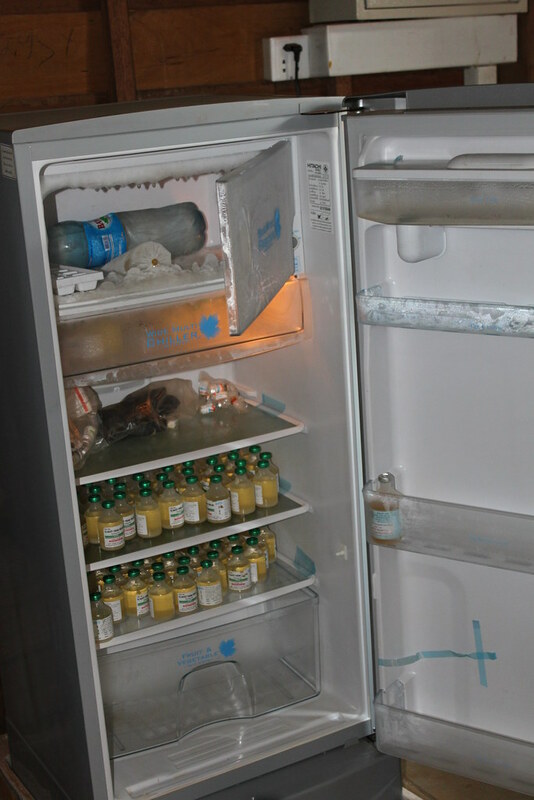 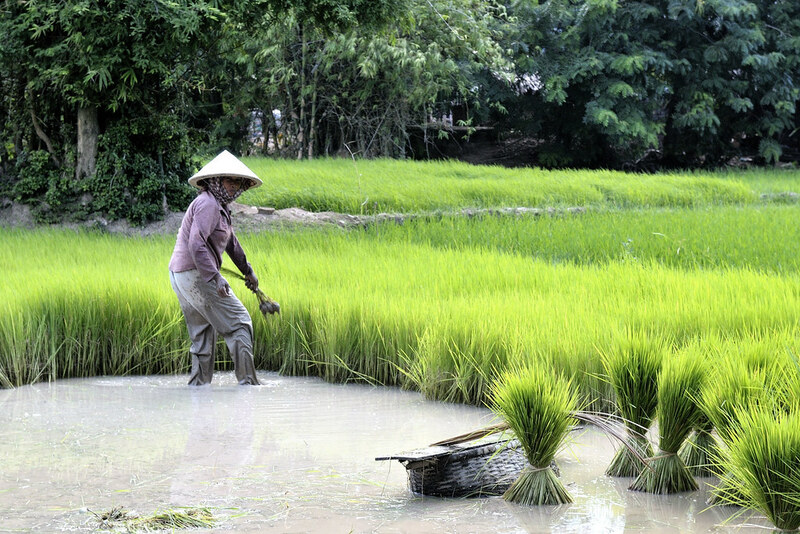 During the lean season, each member of the association can borrow rice according to their need. 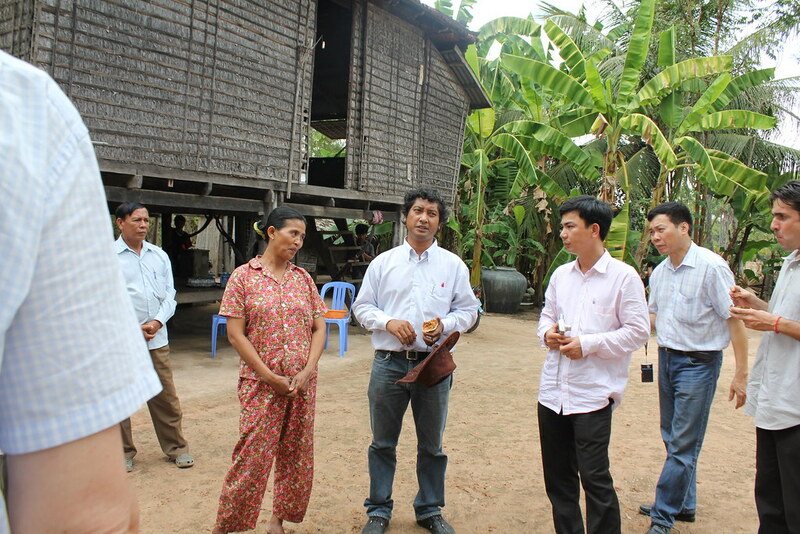 After the harvest, the association’s management committee organizes the reimbursement for the rice borrowed. 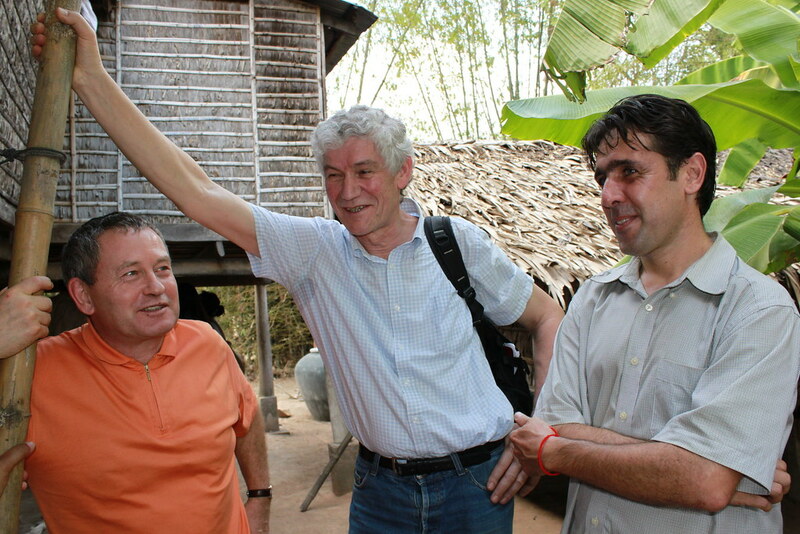 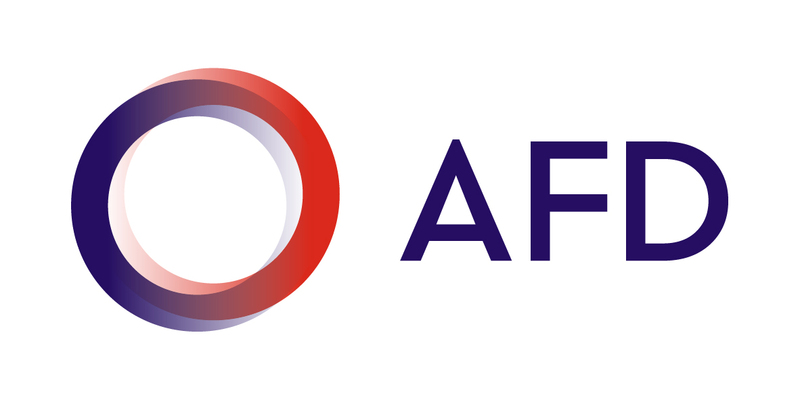 The interest rate applied is on the order of 10% to 20% per year. 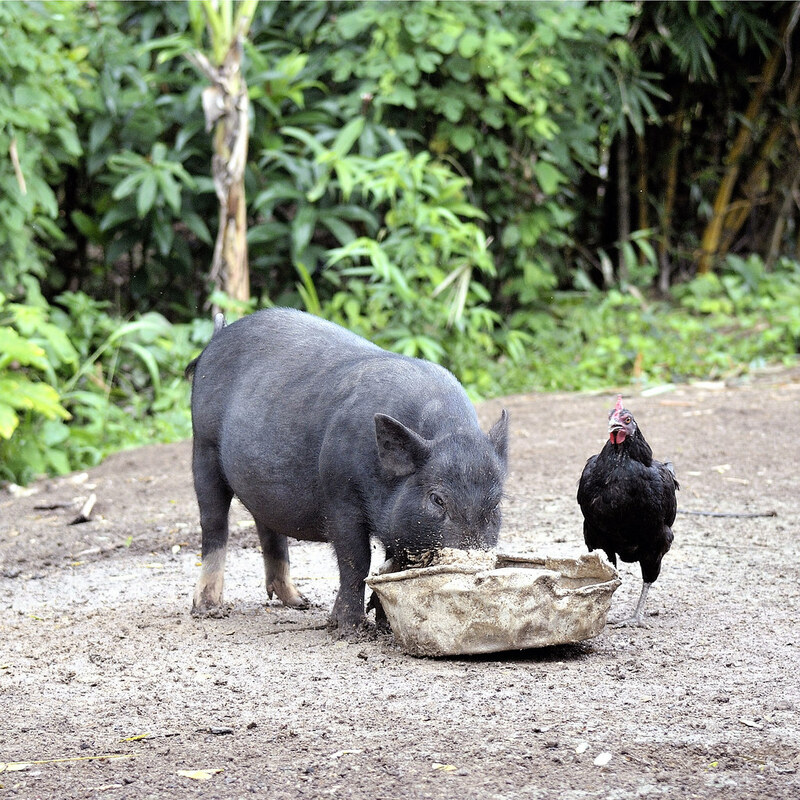 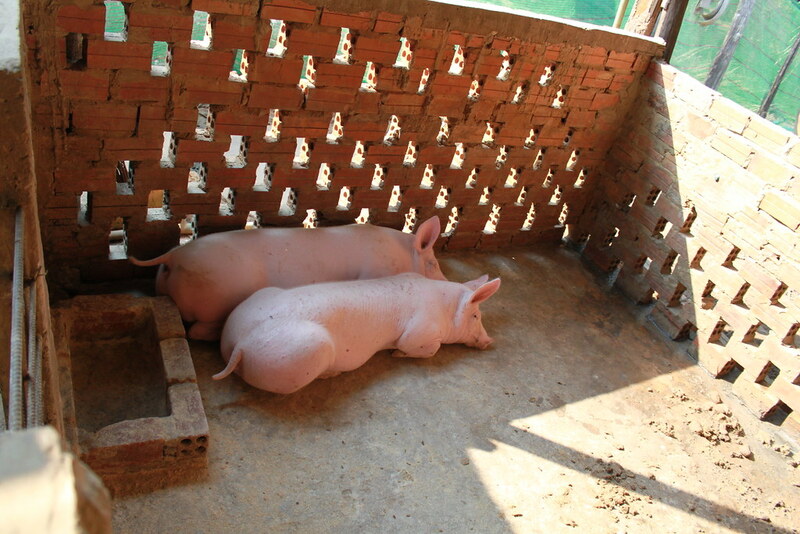 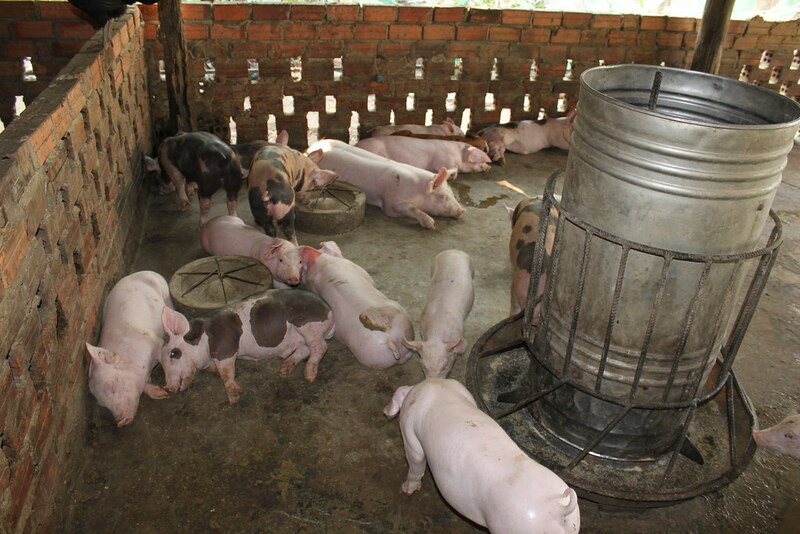 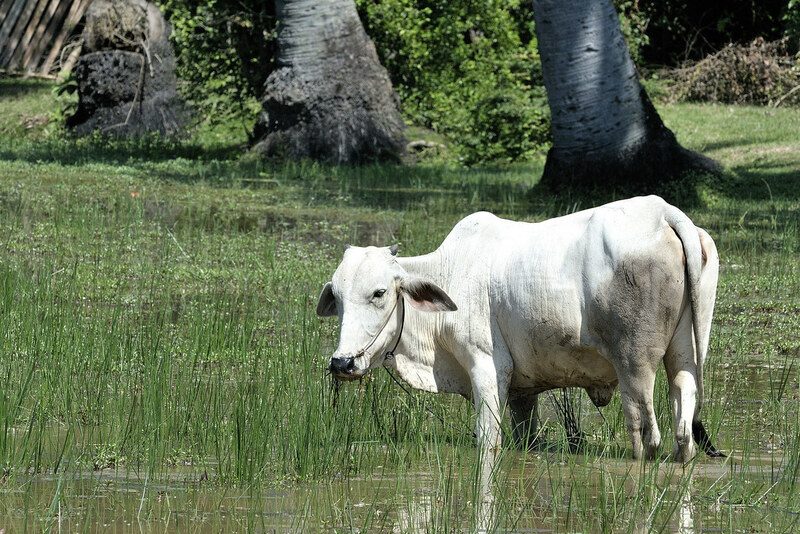 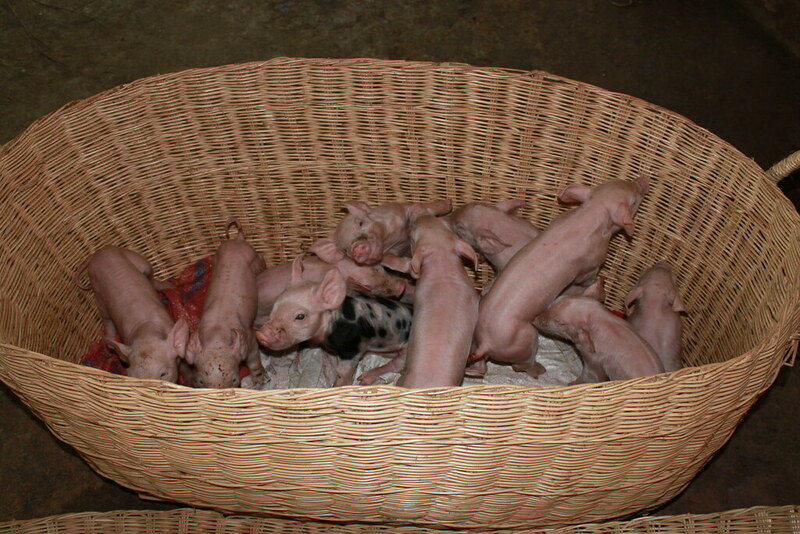 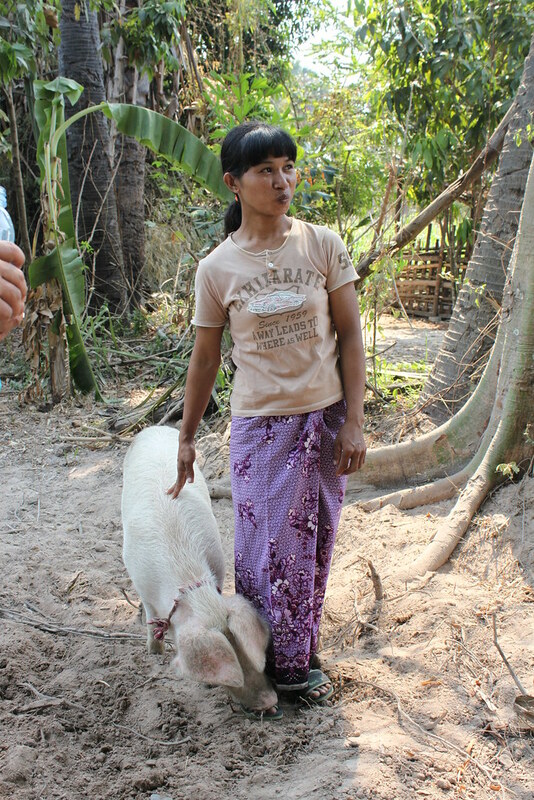 The smallholders are therefore able feed their families year round. 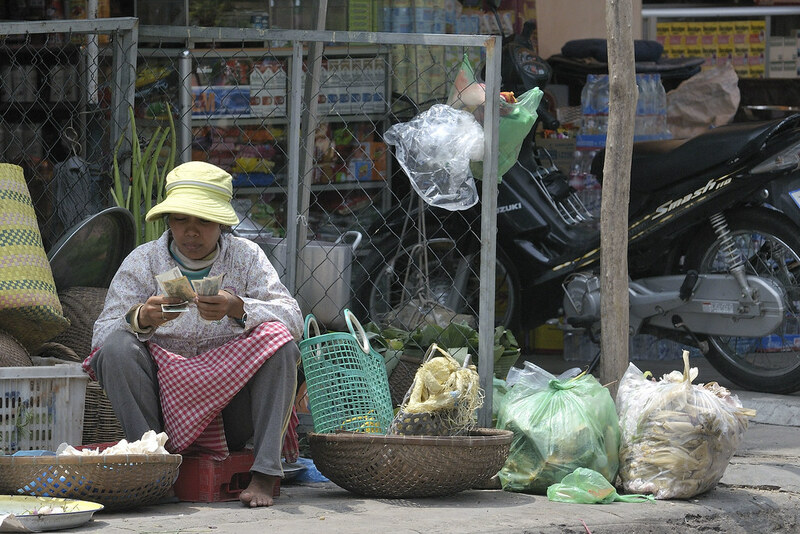 Little by little, the most disadvantaged families stop borrowing rice from the traders, who in turn lower their interest rates. 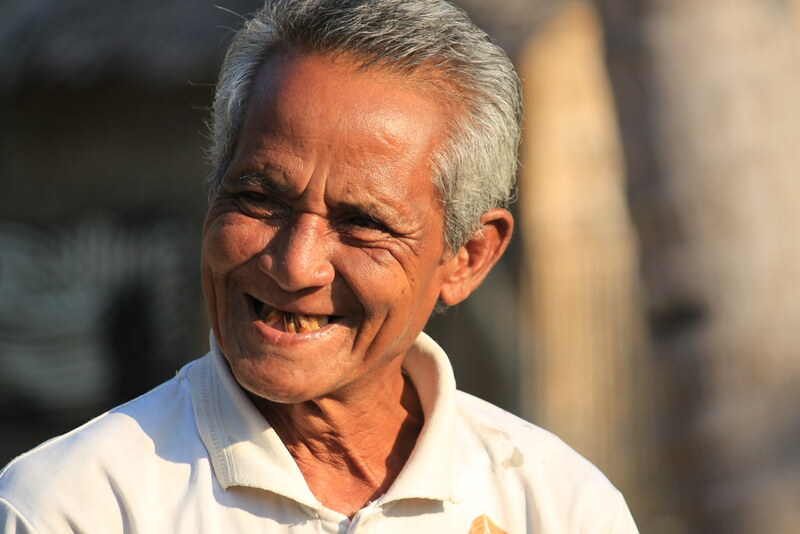 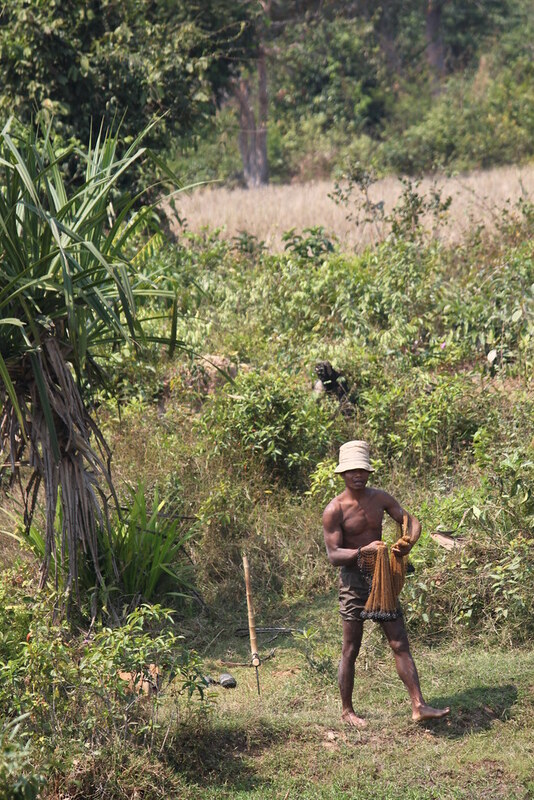 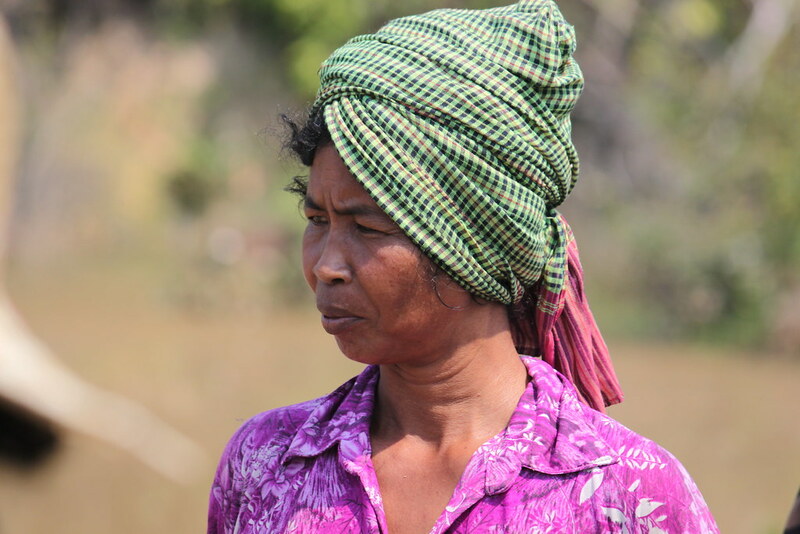 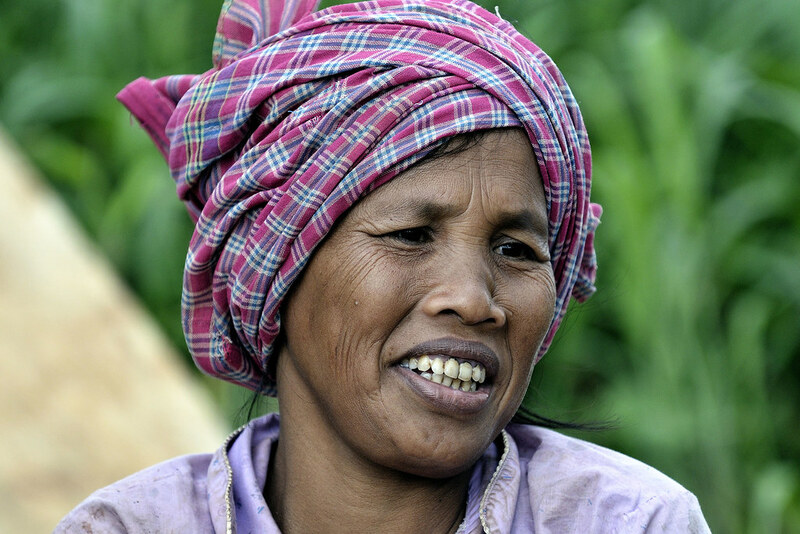 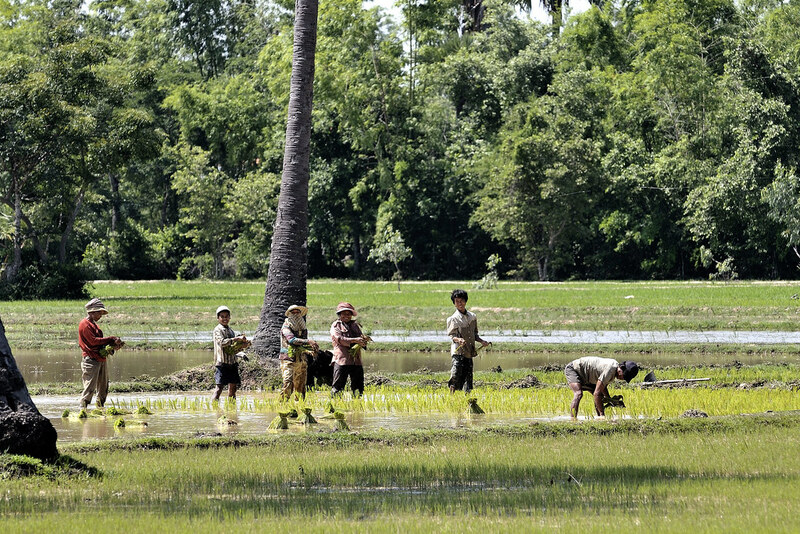 And most importantly, the smallholders are able to spend more time working in their paddy fields. 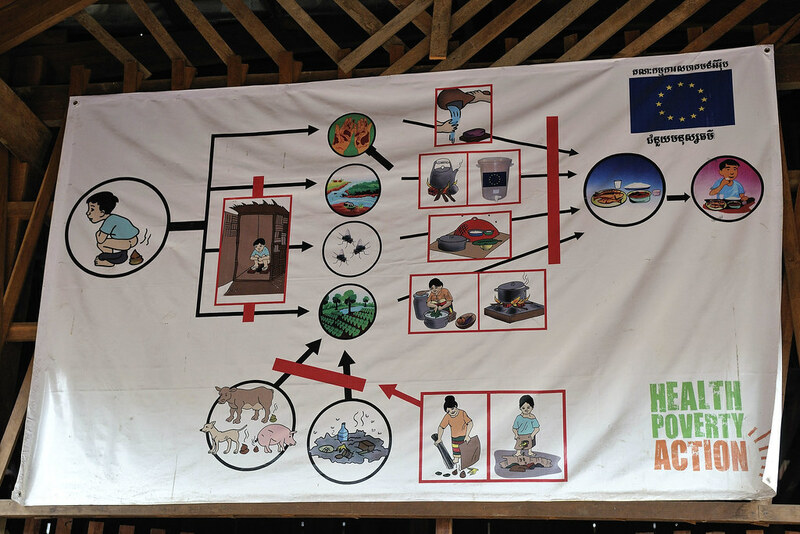 AVSF also trains the association's members to properly manage the storage of rice in order to ensure that the system will be sustainable and will serve as a tool for economic and social development. 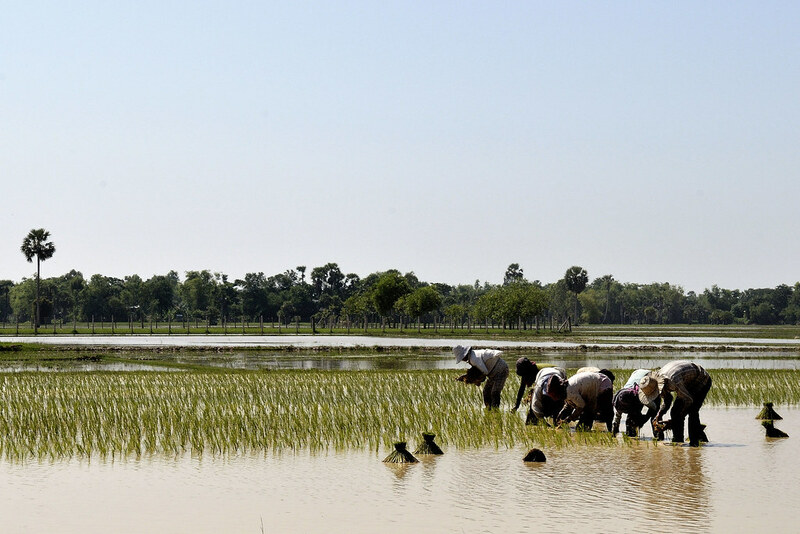 The interest paid by the members enables the association to increase its stock of rice and its membership each year, and to carry out social activities on behalf of its members: aid for orphans and the sick, construction of roads, irrigation, etc. 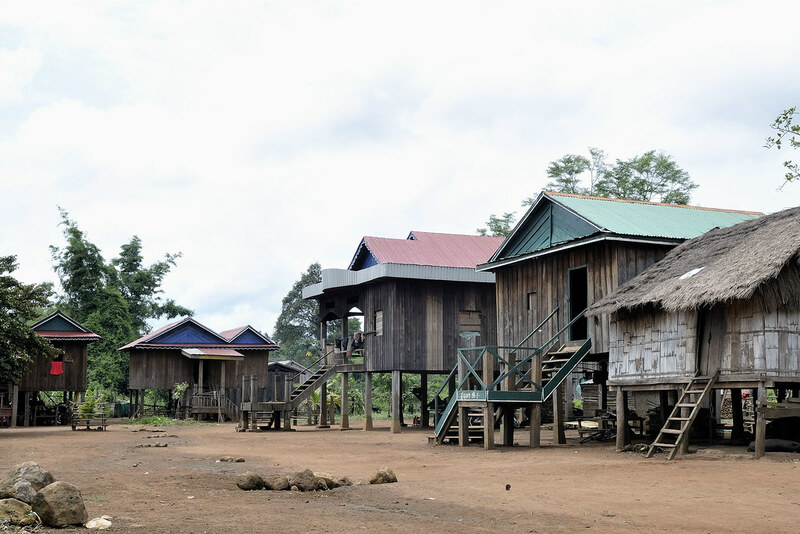 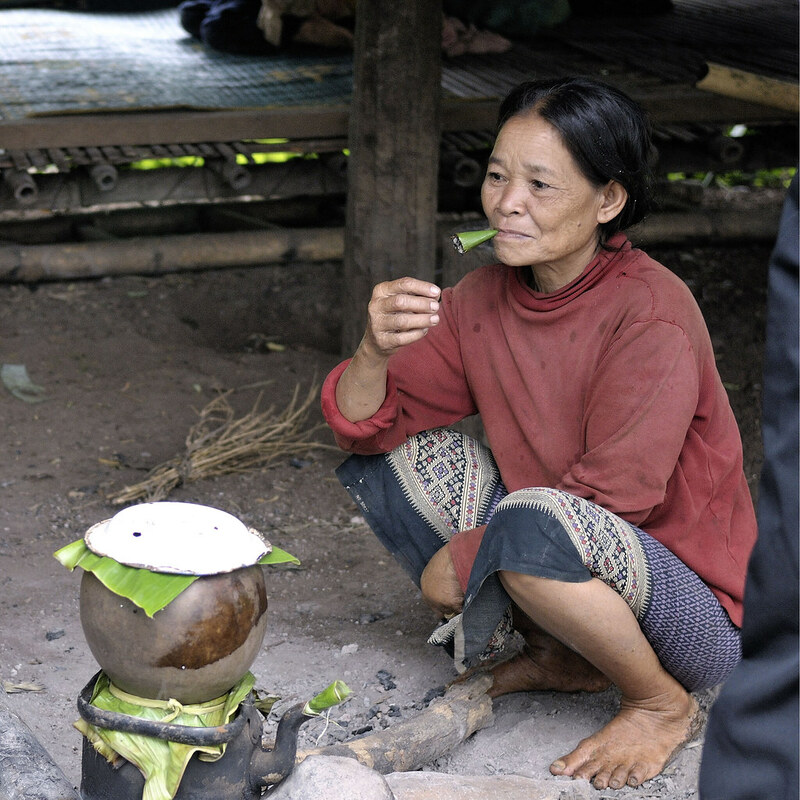 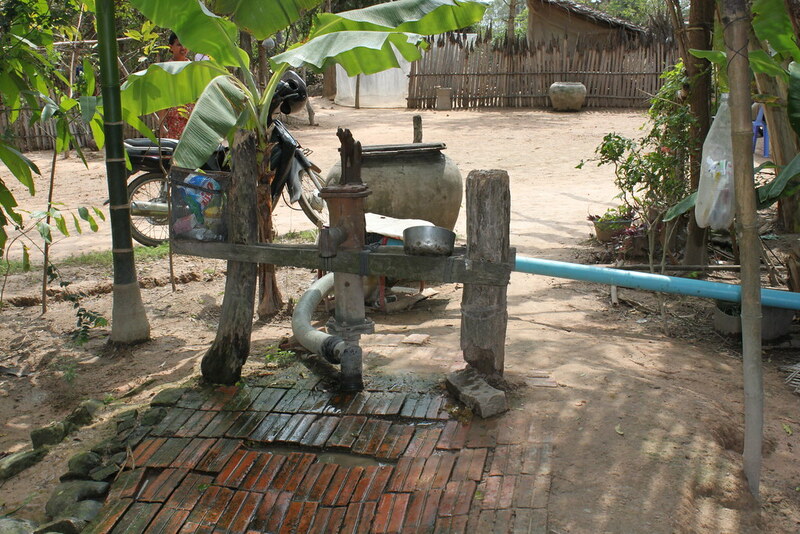 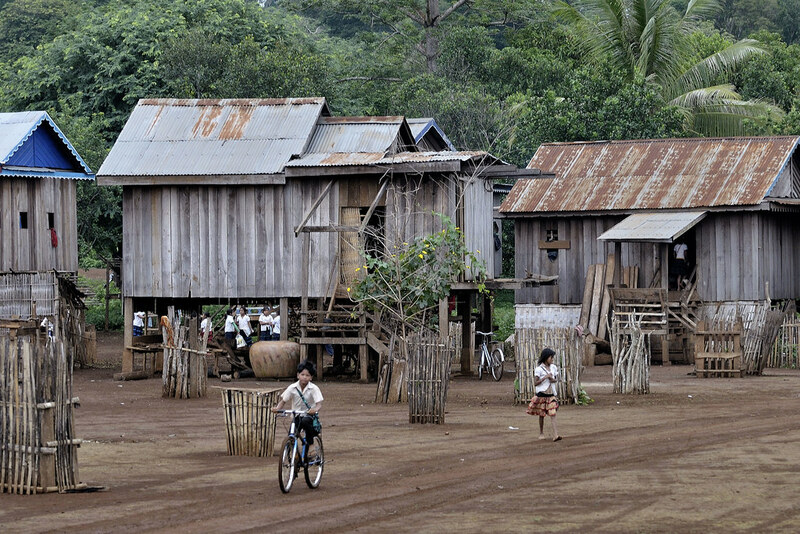 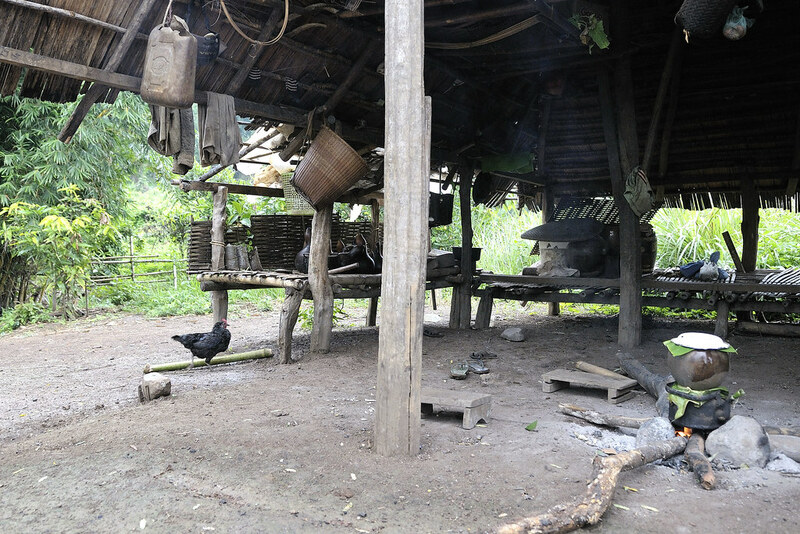 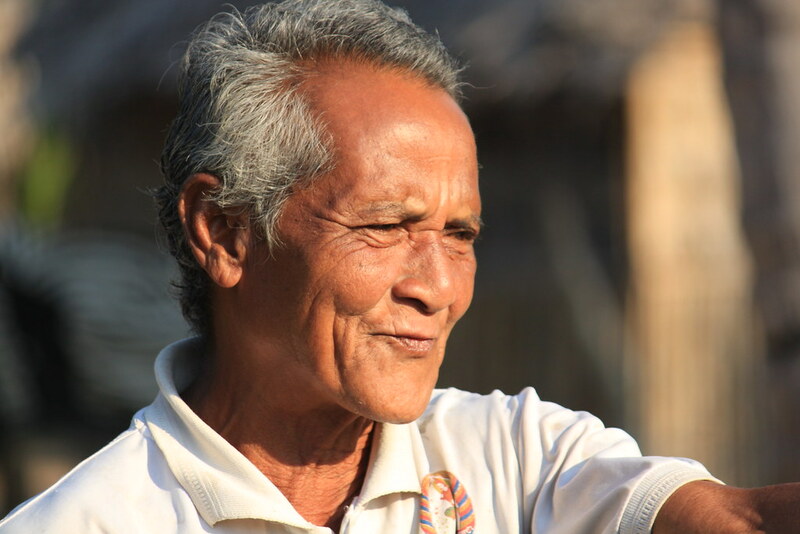 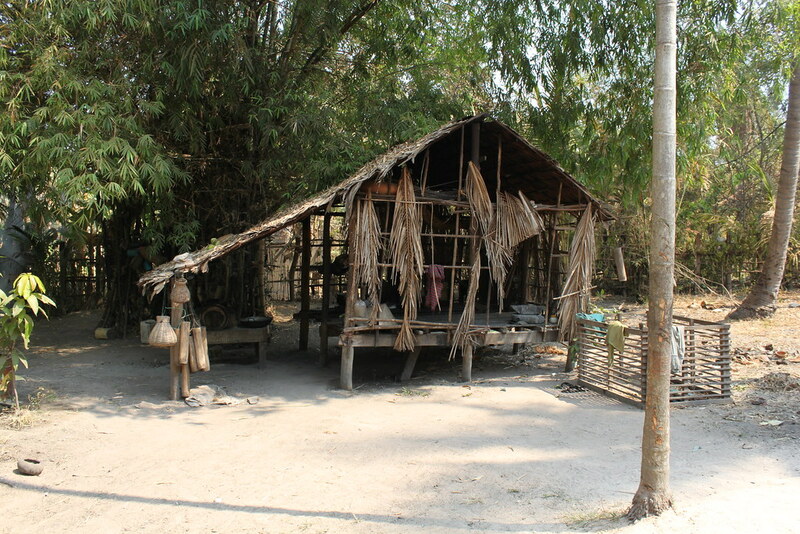 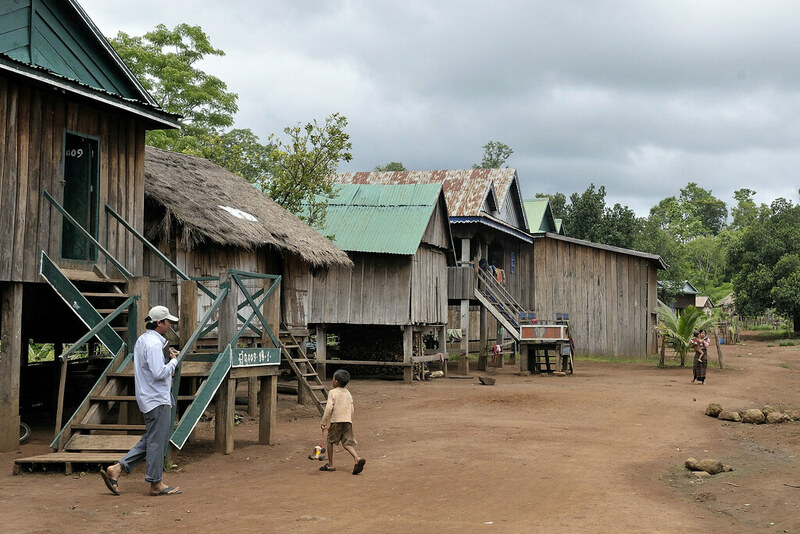 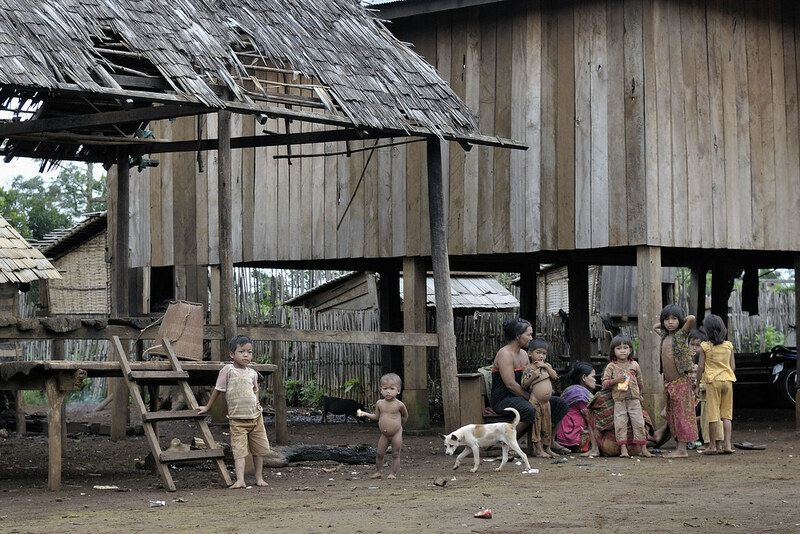 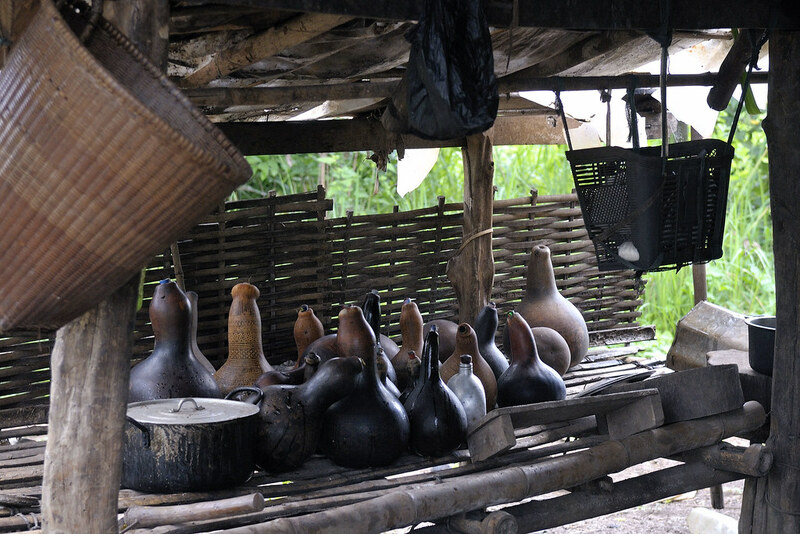 Over time, numerous village associations have been established based on this model. 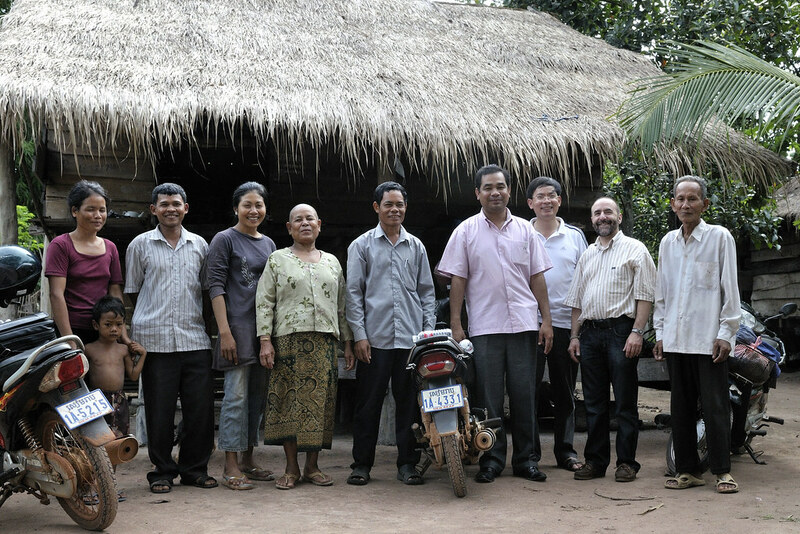 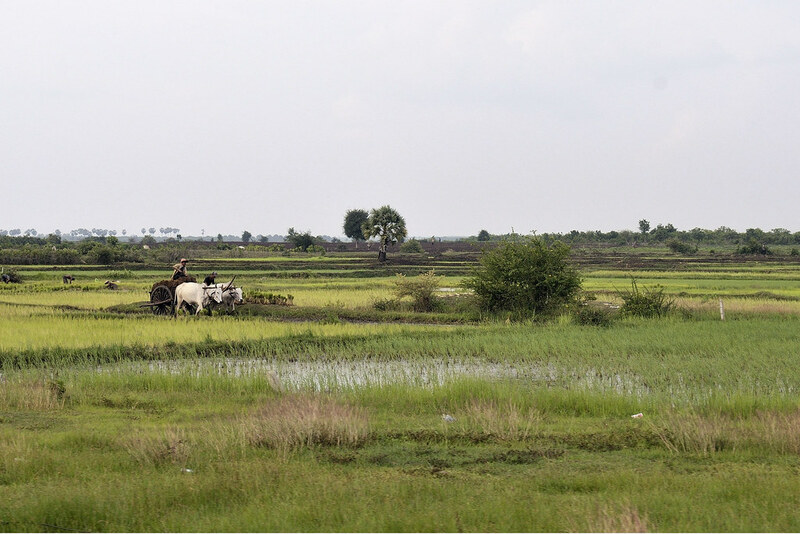 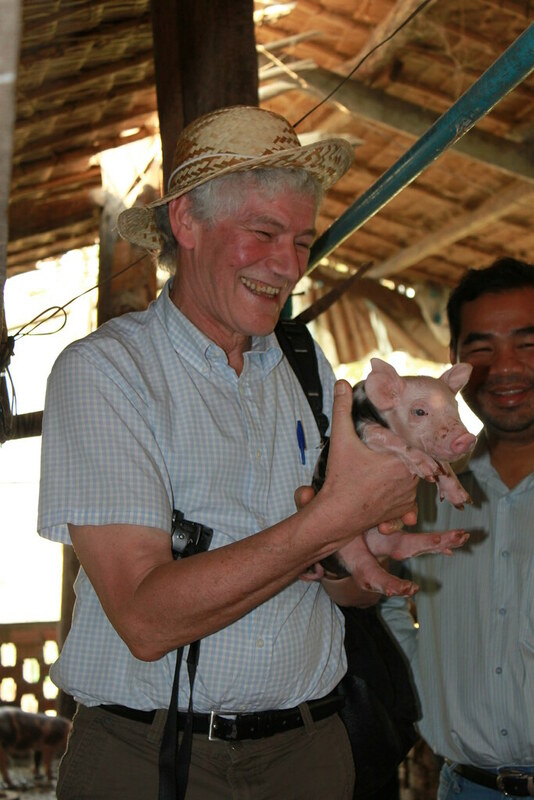 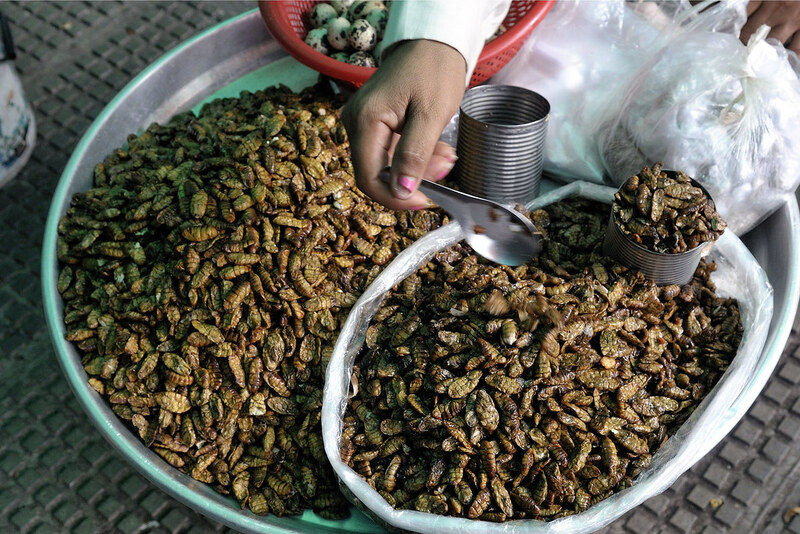 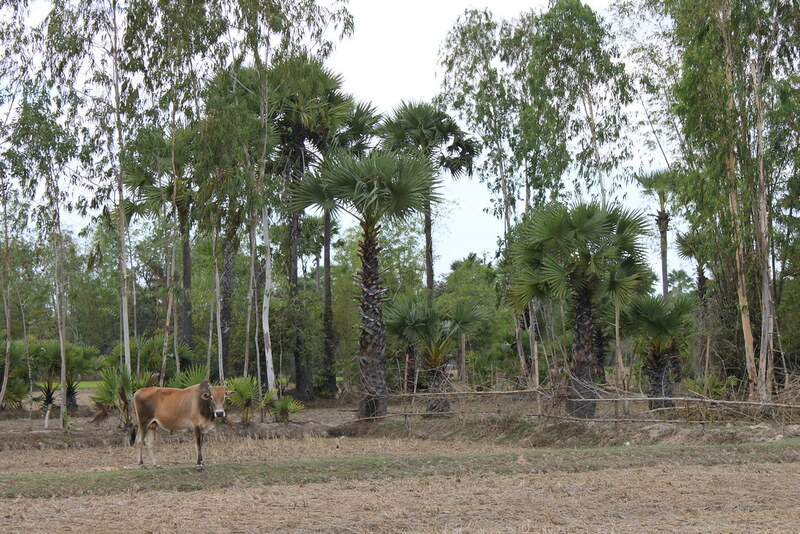 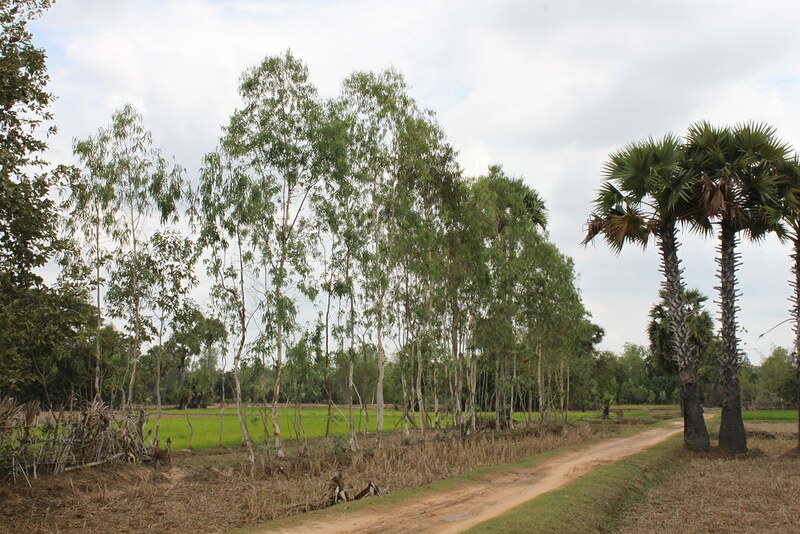 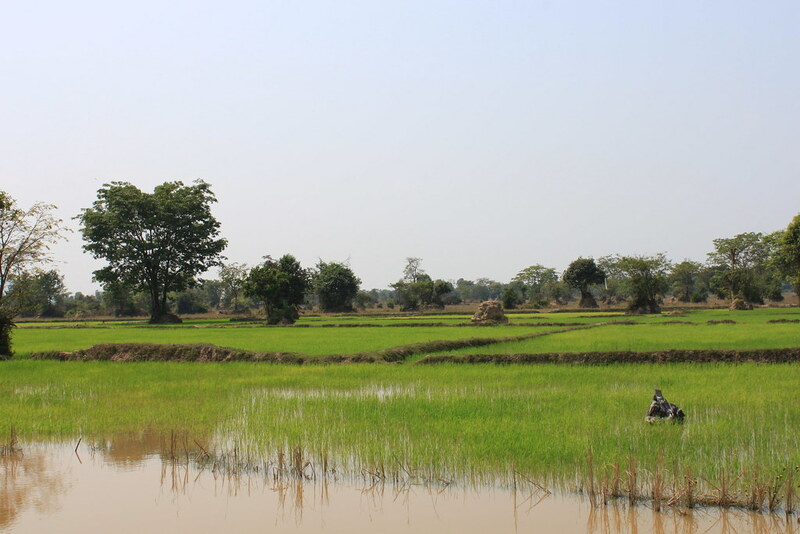 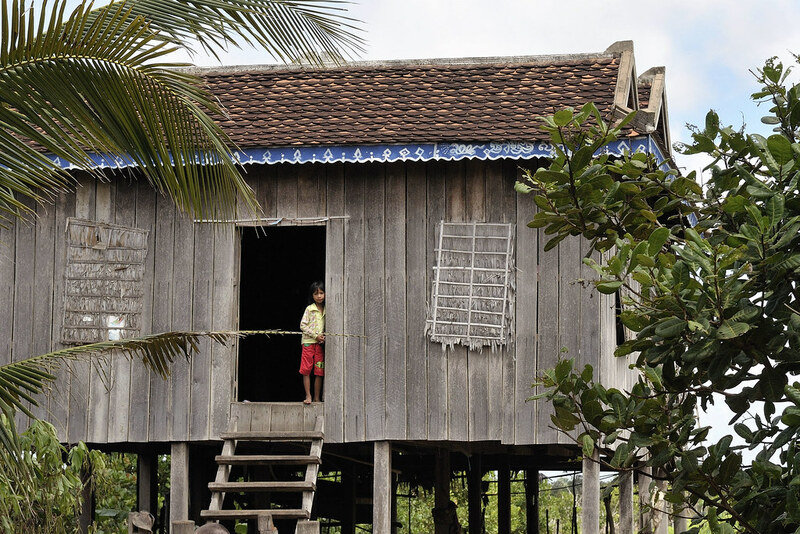 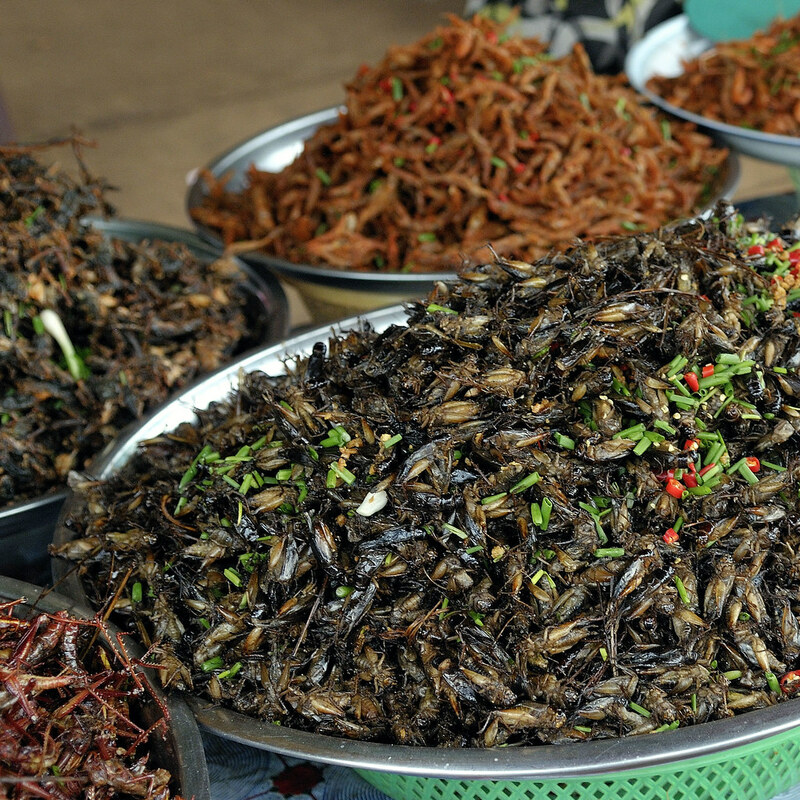 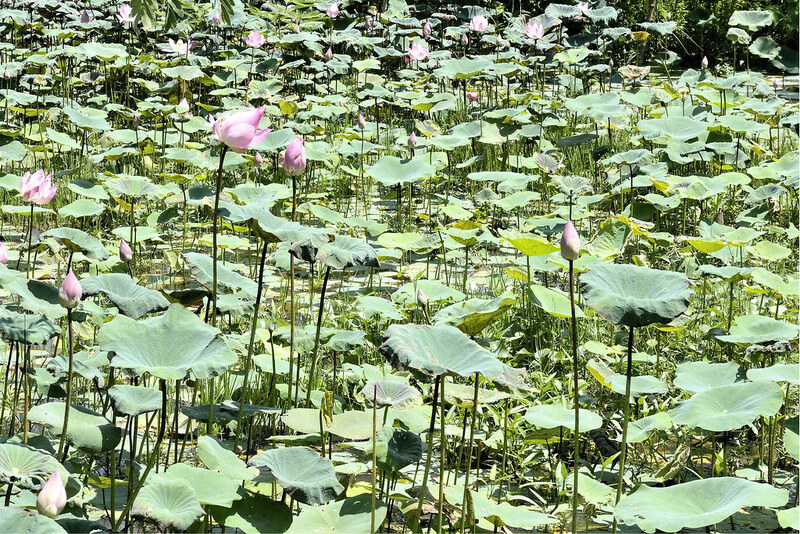 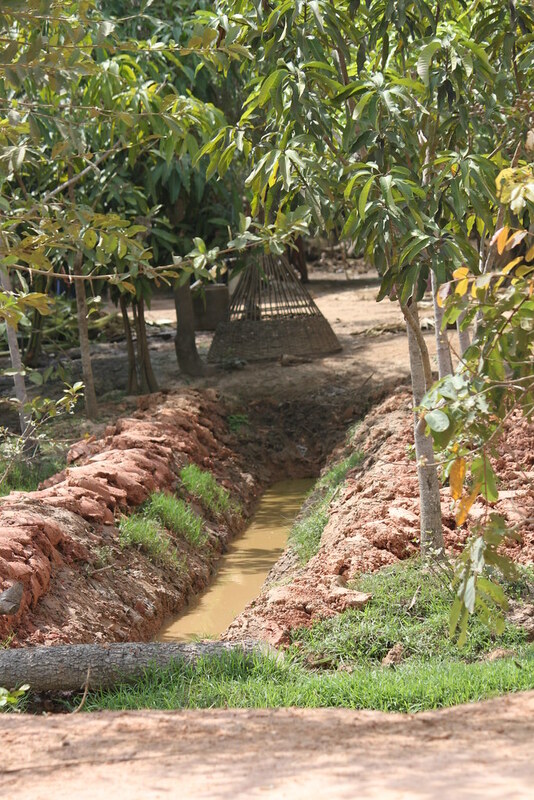 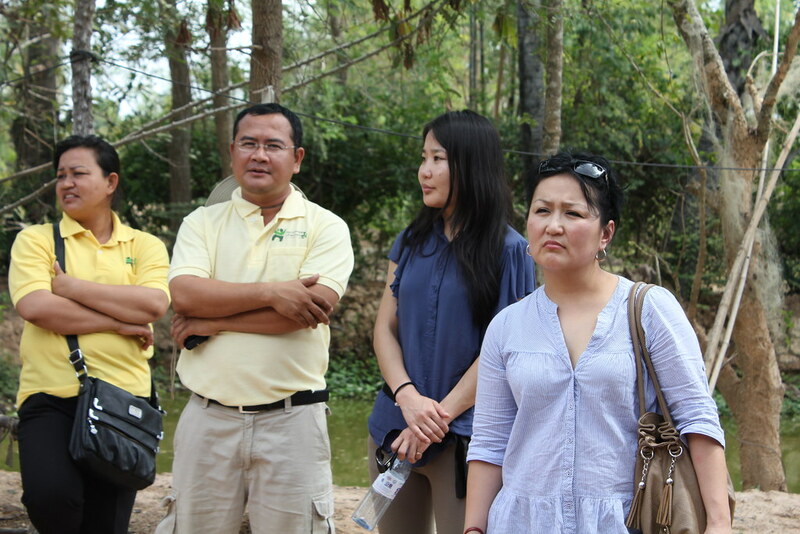 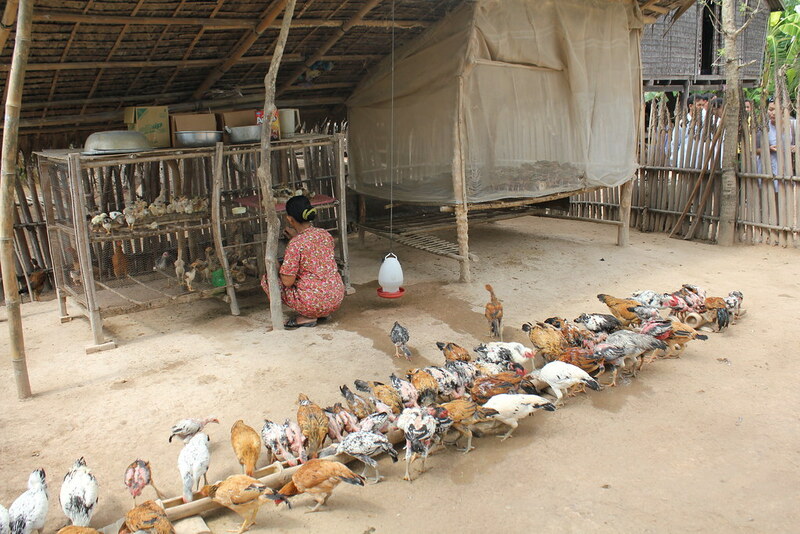 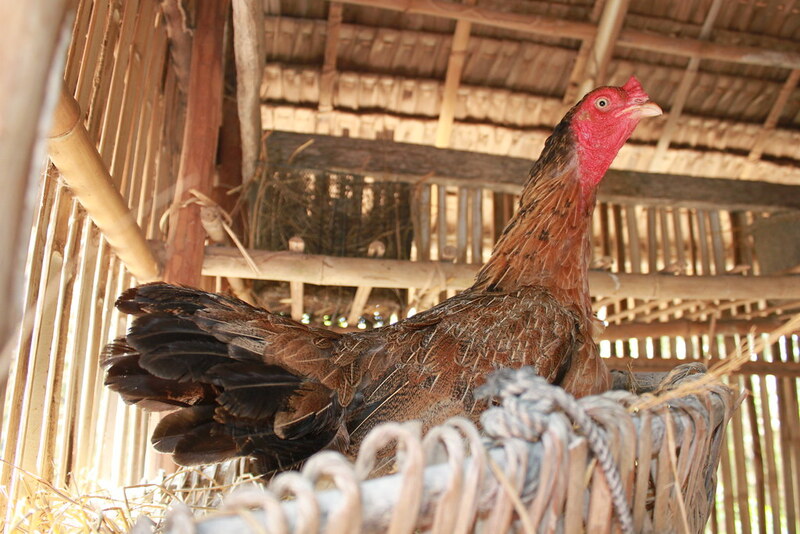 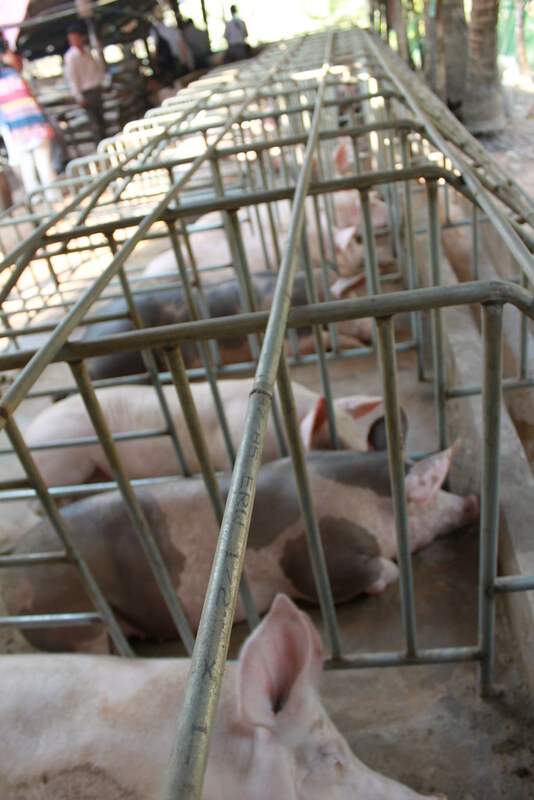 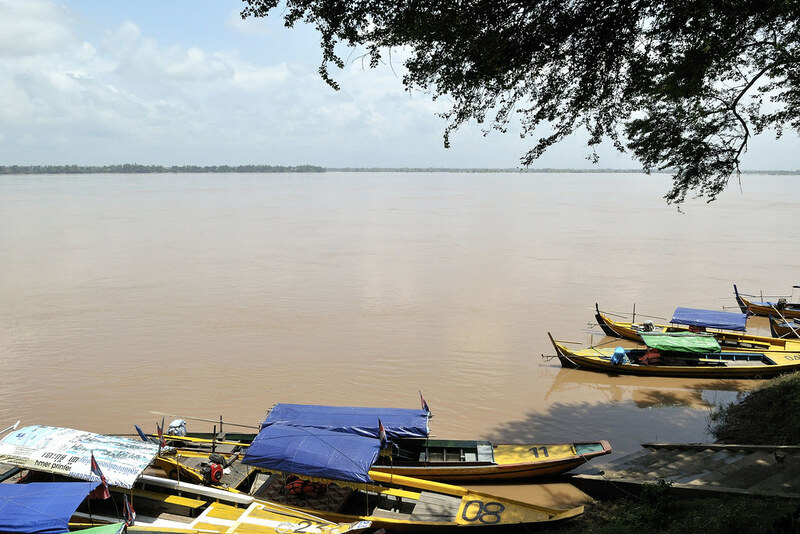 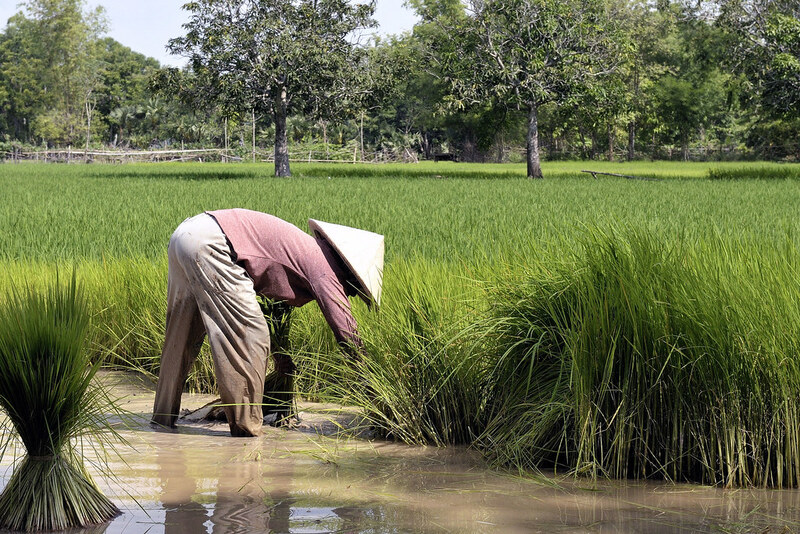 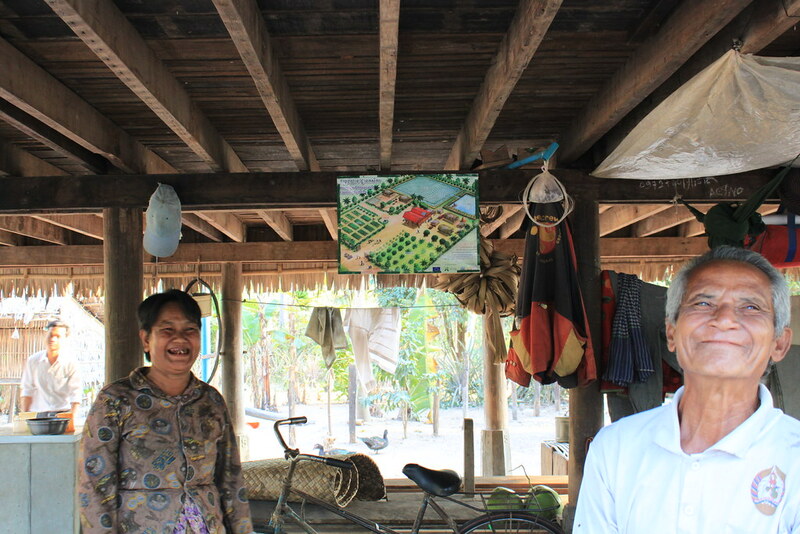 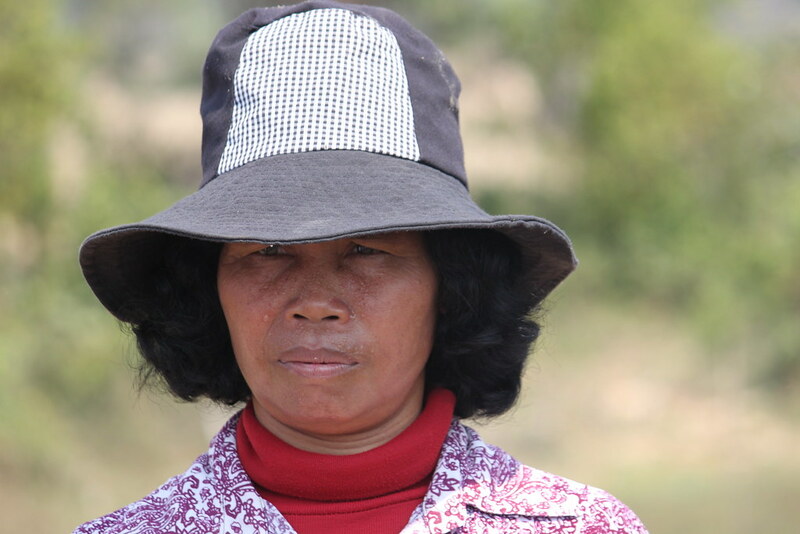 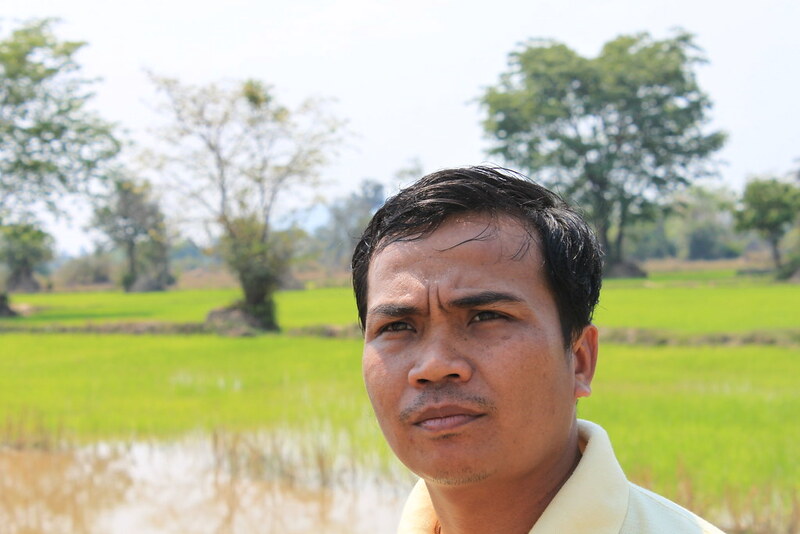 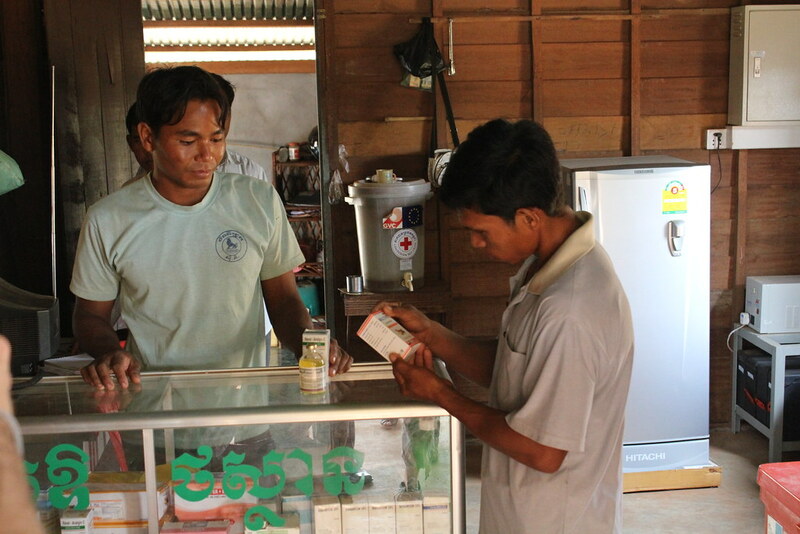 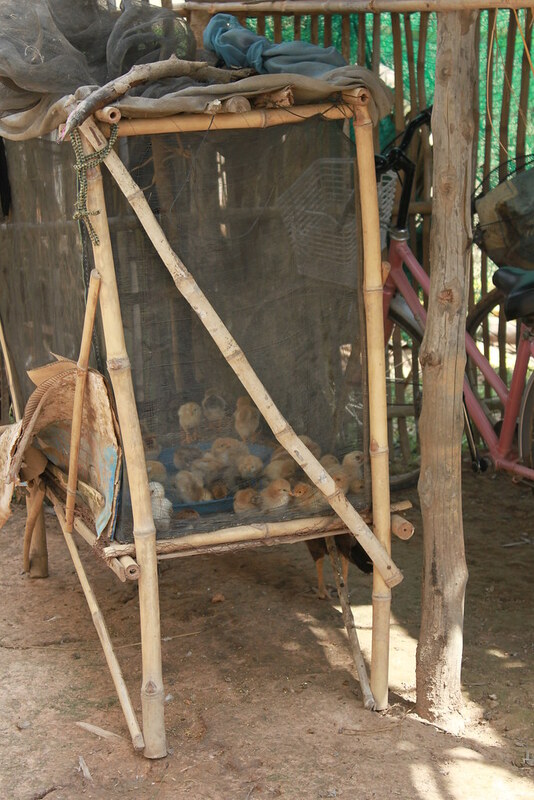 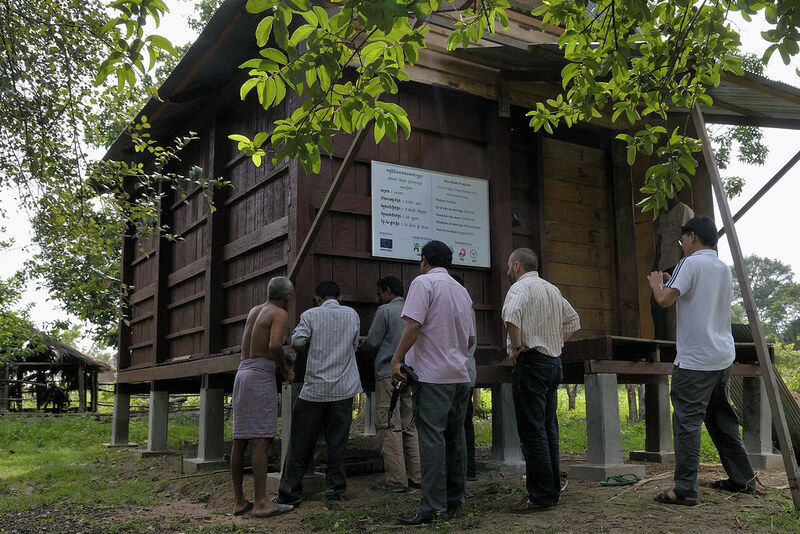 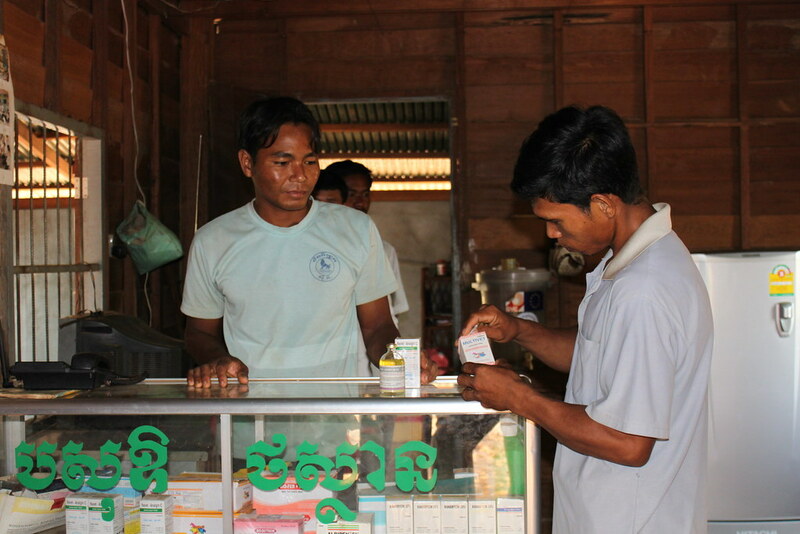 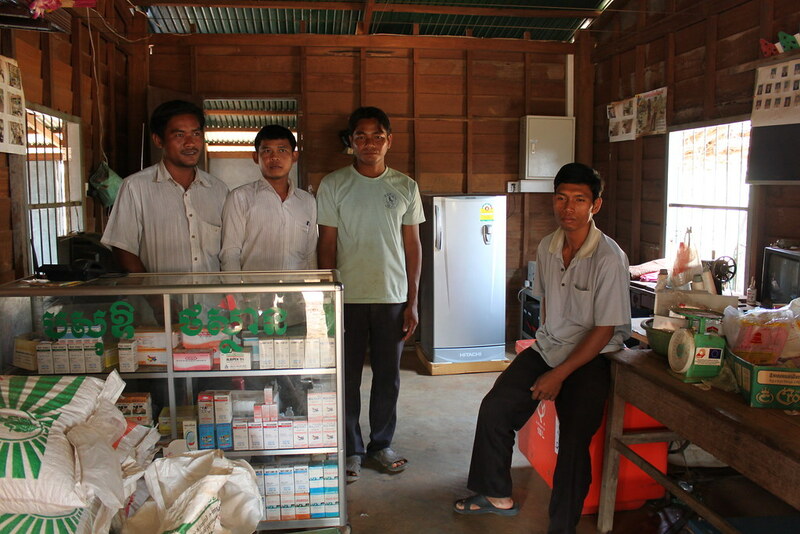 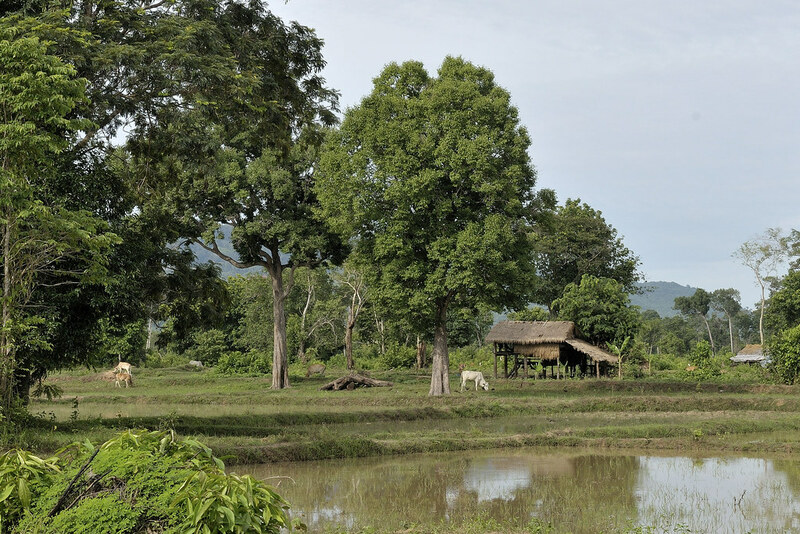 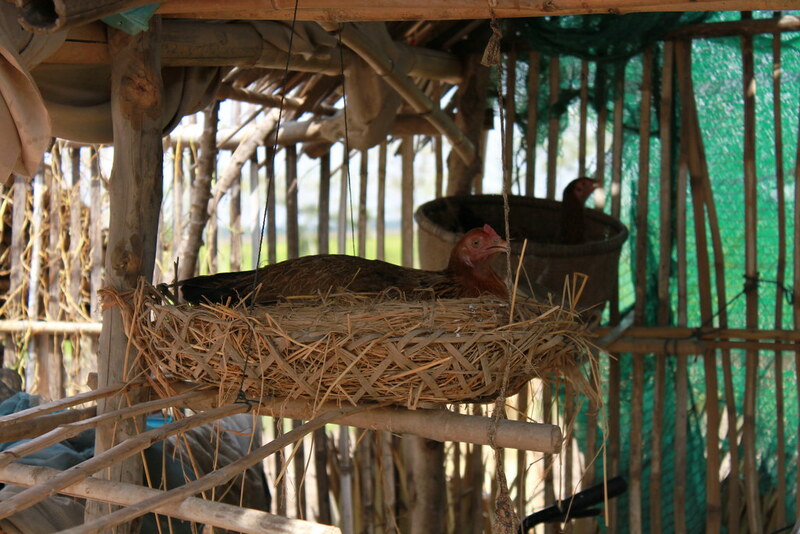 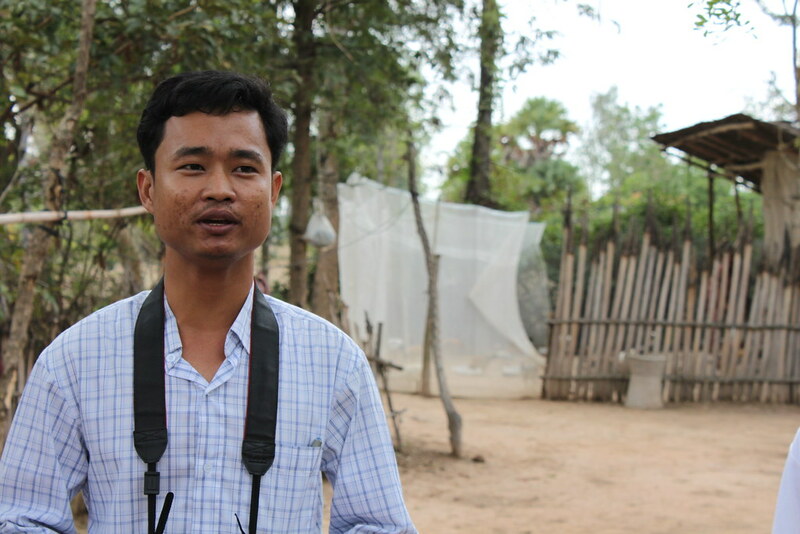 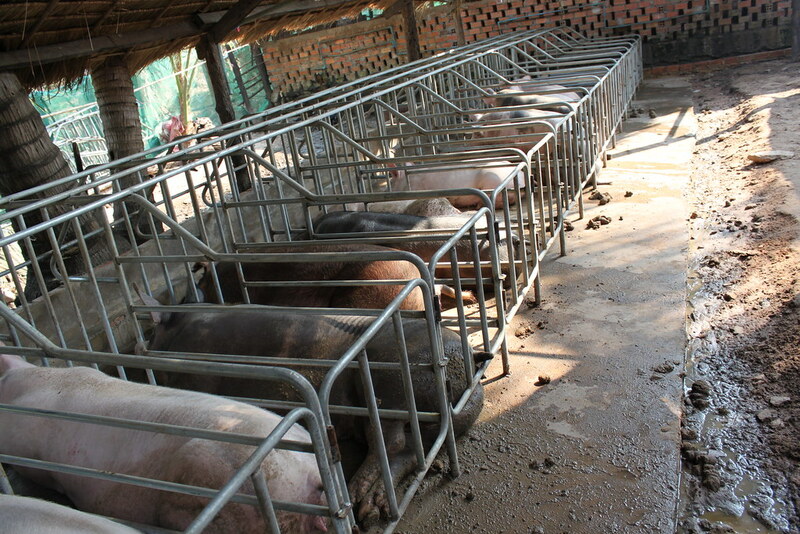 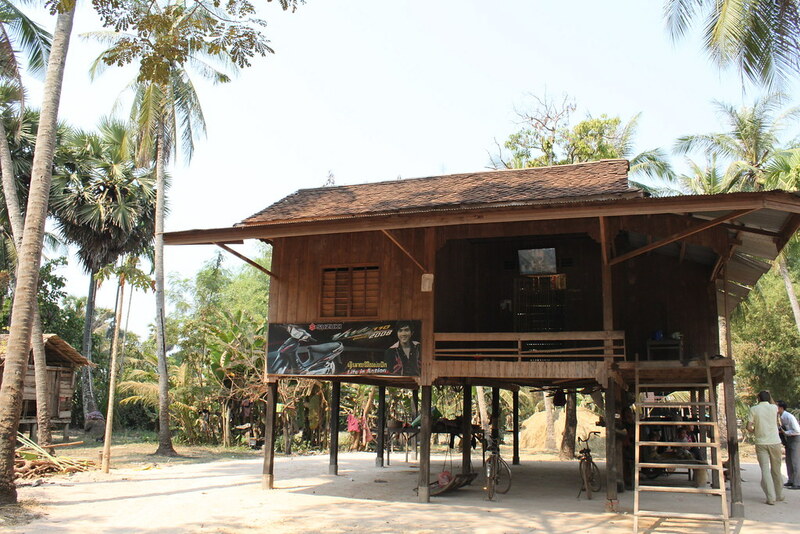 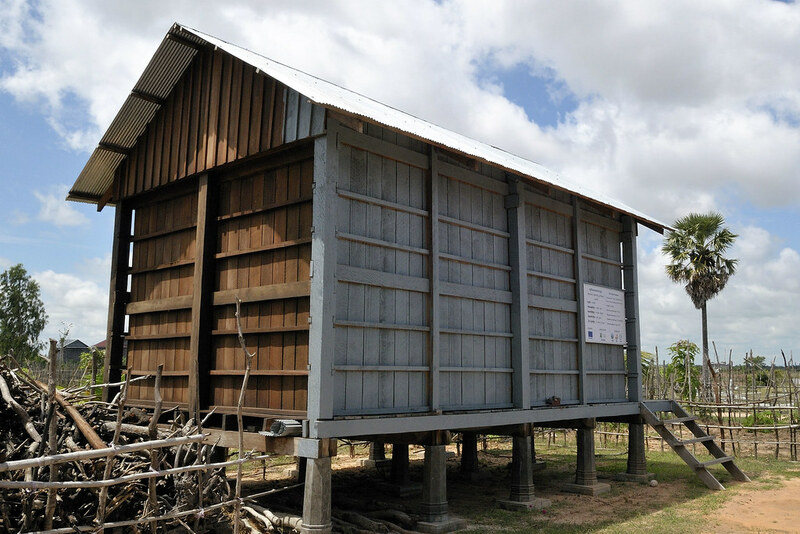 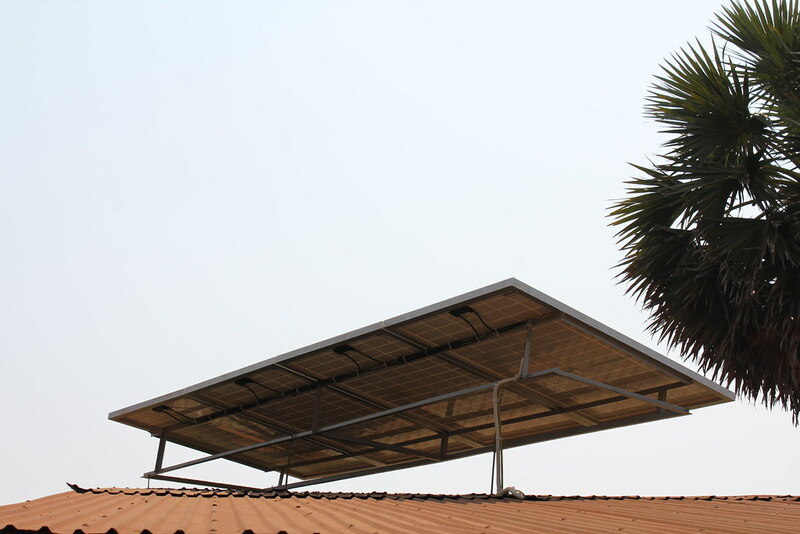 Some have even evolved from associations into cooperatives, thus benefitting from recognition by Cambodian officials and support from the Ministry of Agriculture. 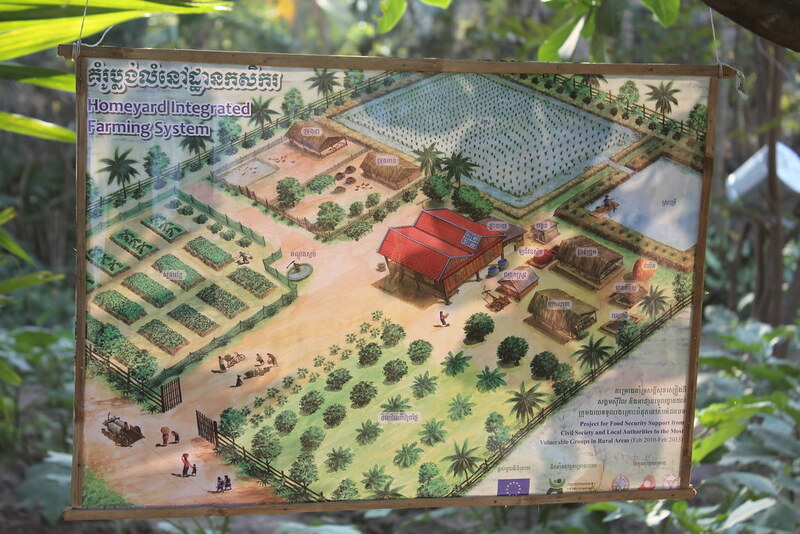 The video below gives an overview of the project.